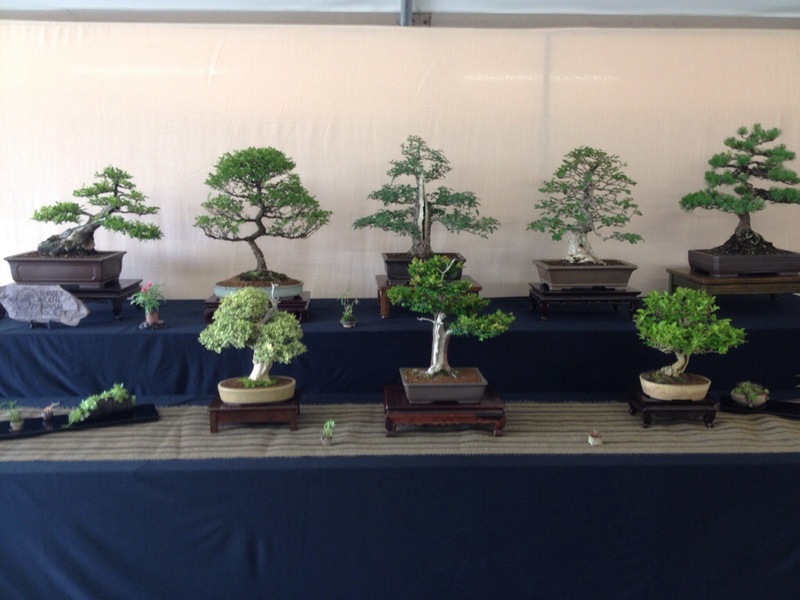 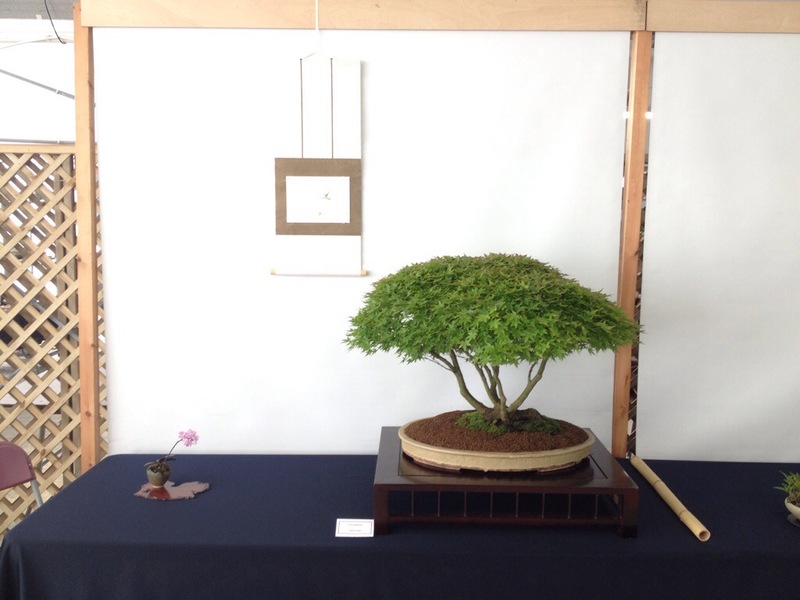 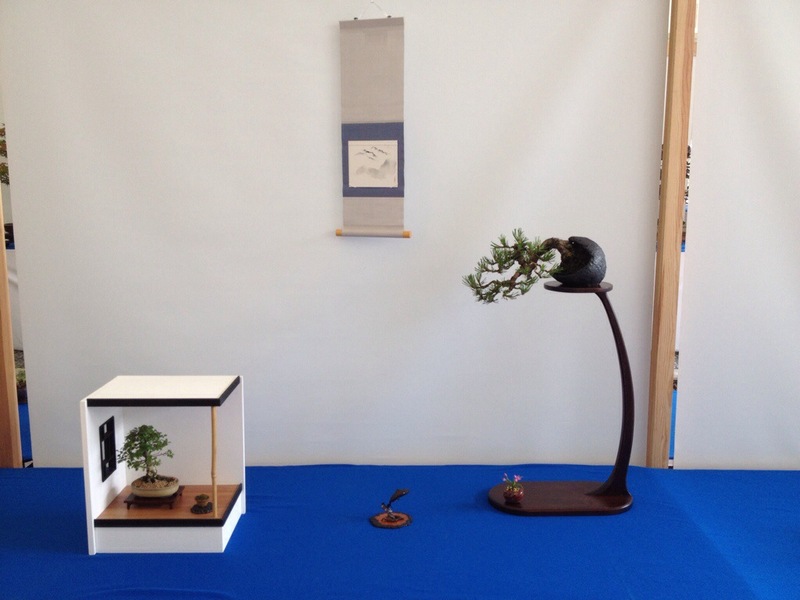 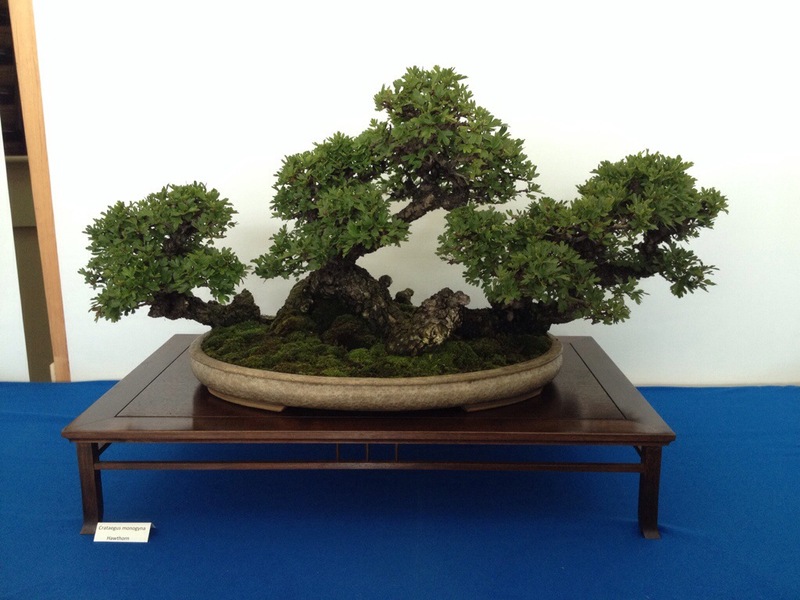 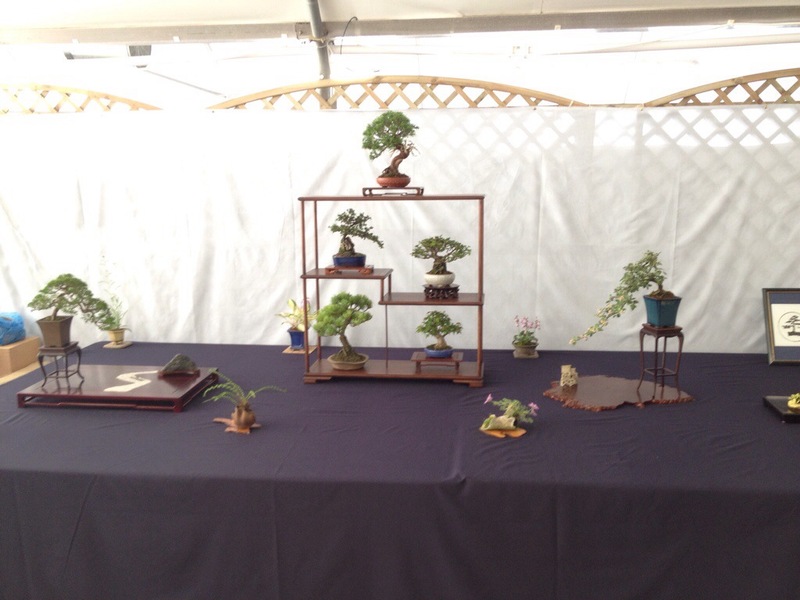 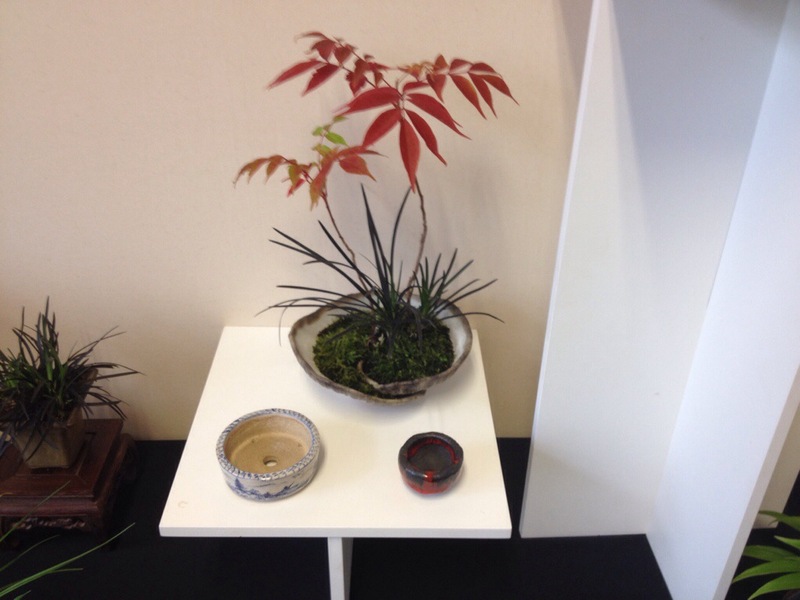 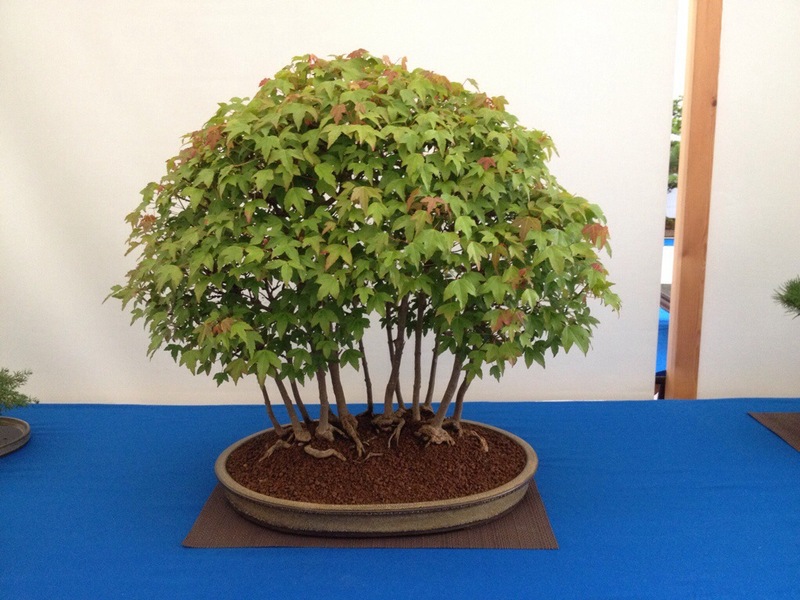 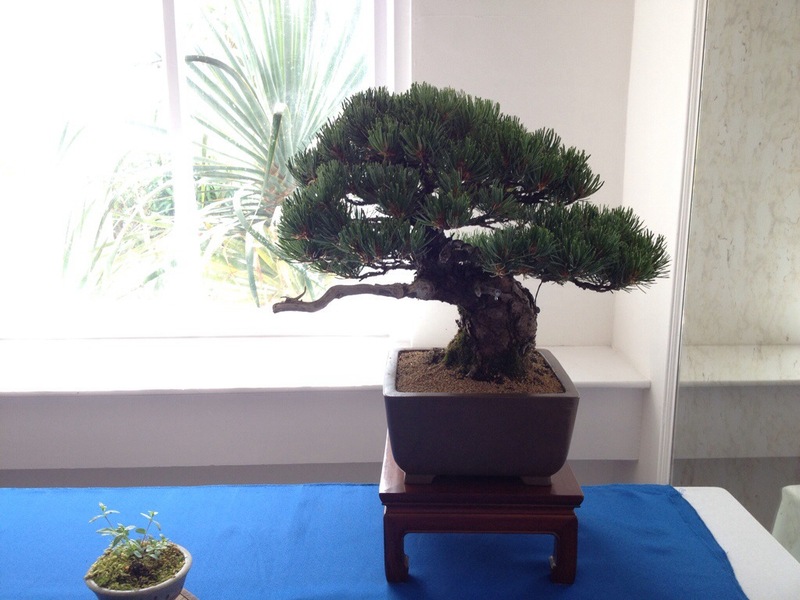 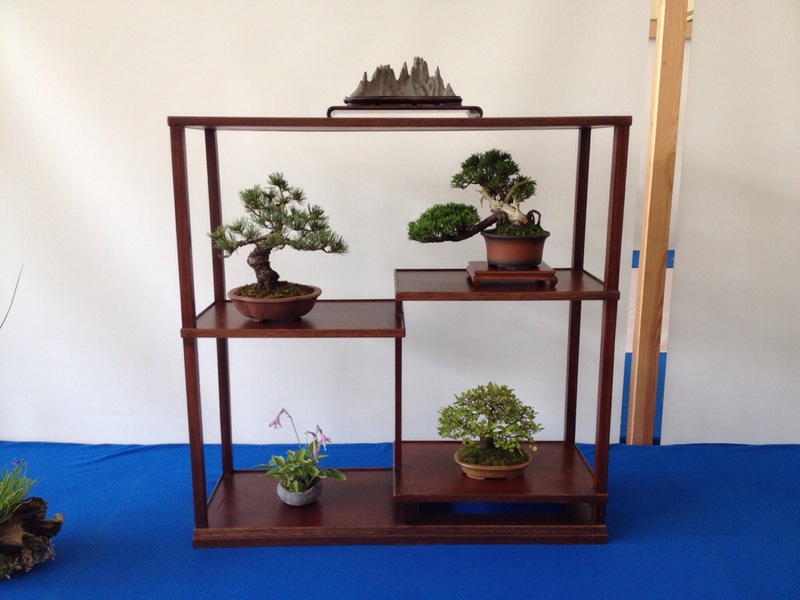 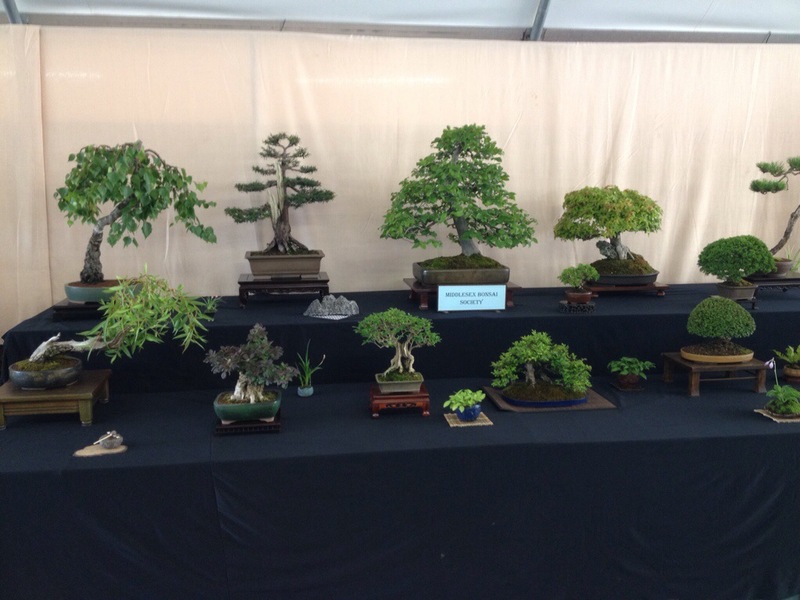 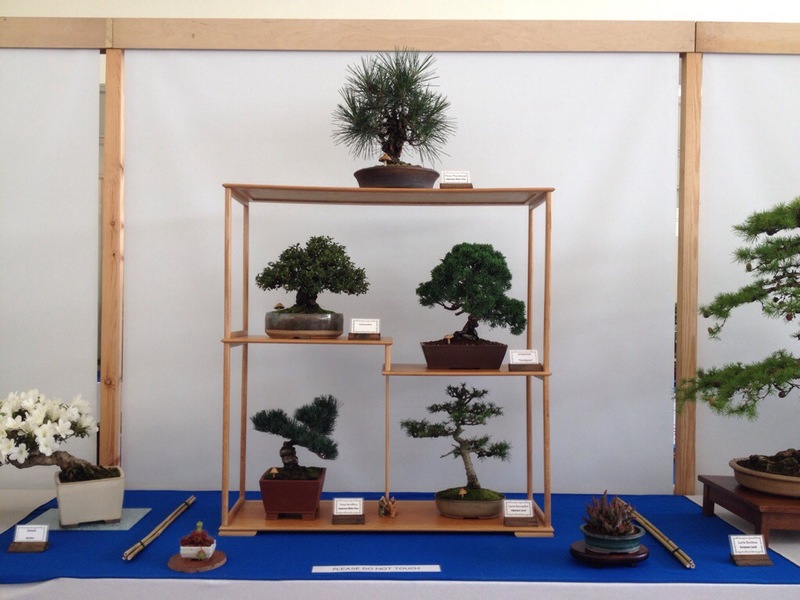 It was a huge honour this weekend to be part of a superbly organised and high class show dedicated to all the versions of items used to compliment our bonsai. 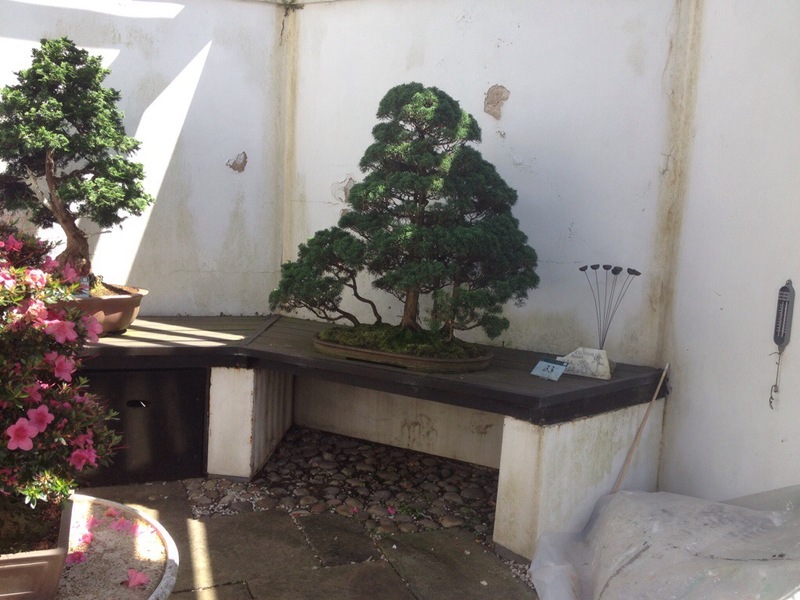 A friendly atmosphere and a good bacon butty made it a special day to be part of. 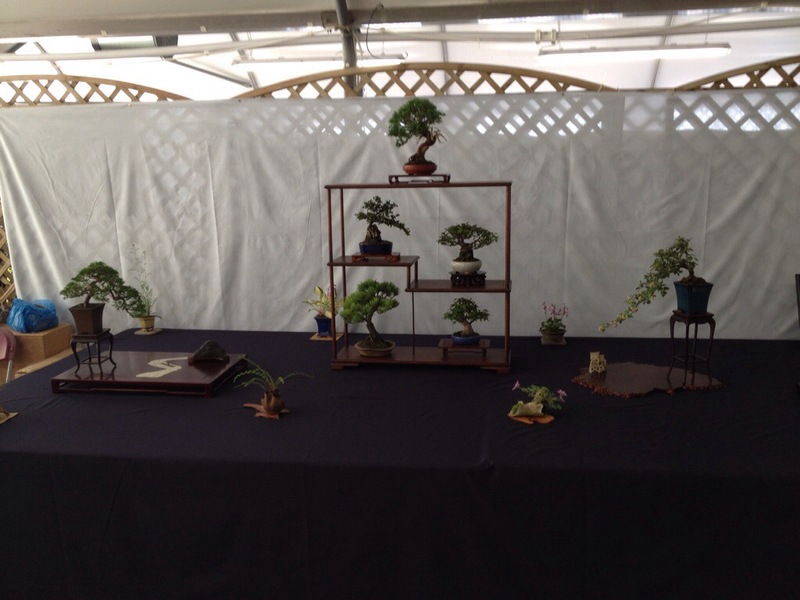 I urge you to see for yourself next time this wonderful show is held. 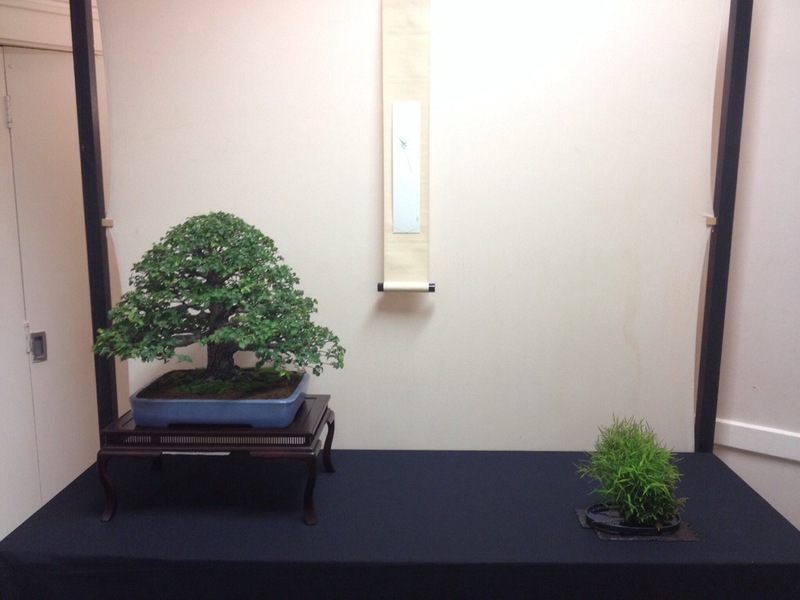 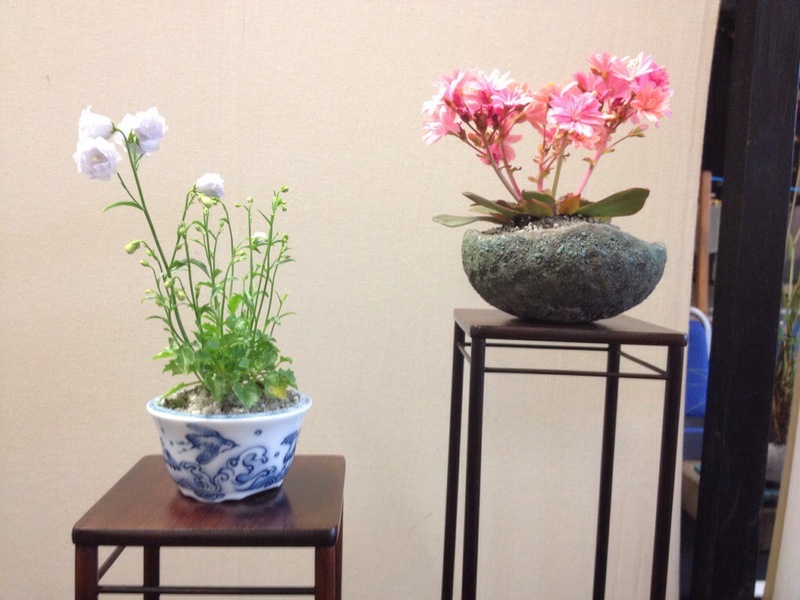 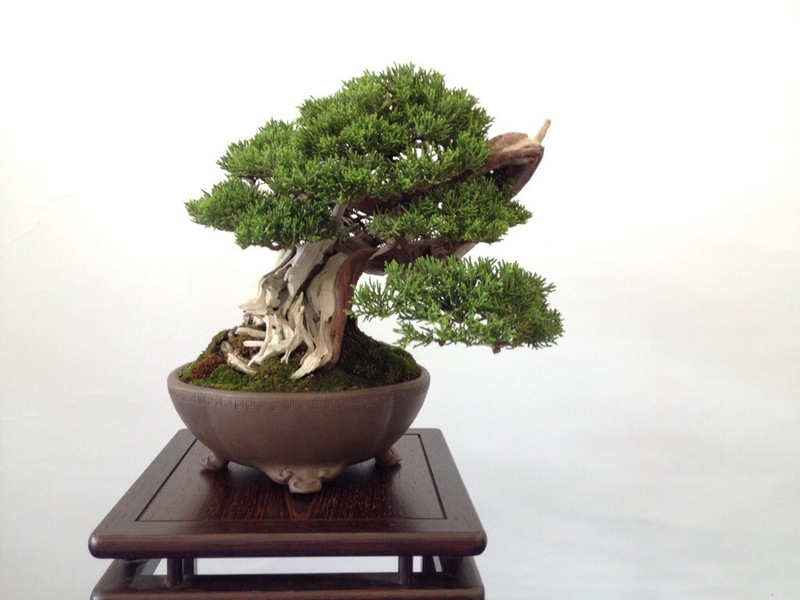 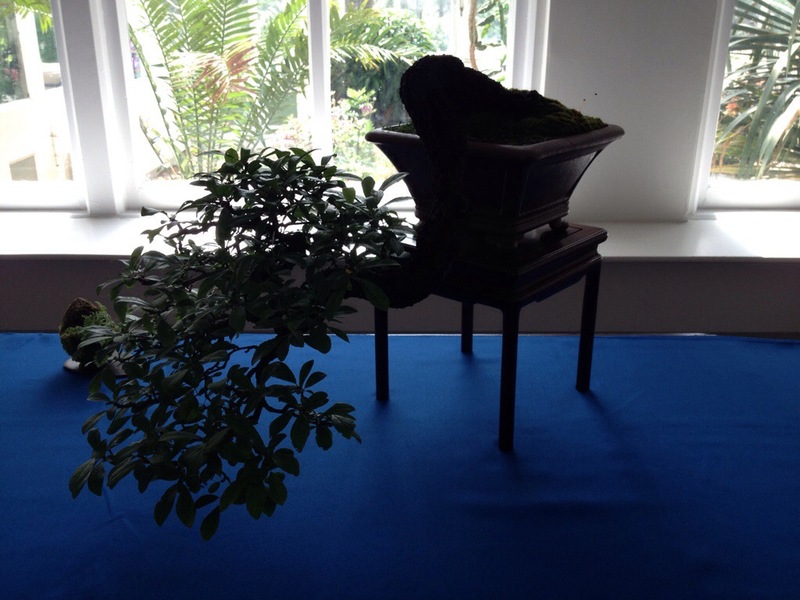 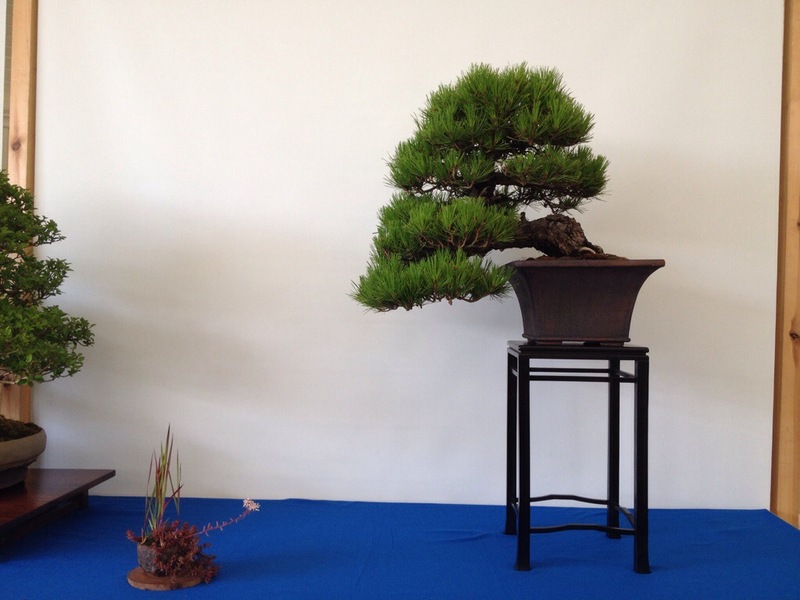 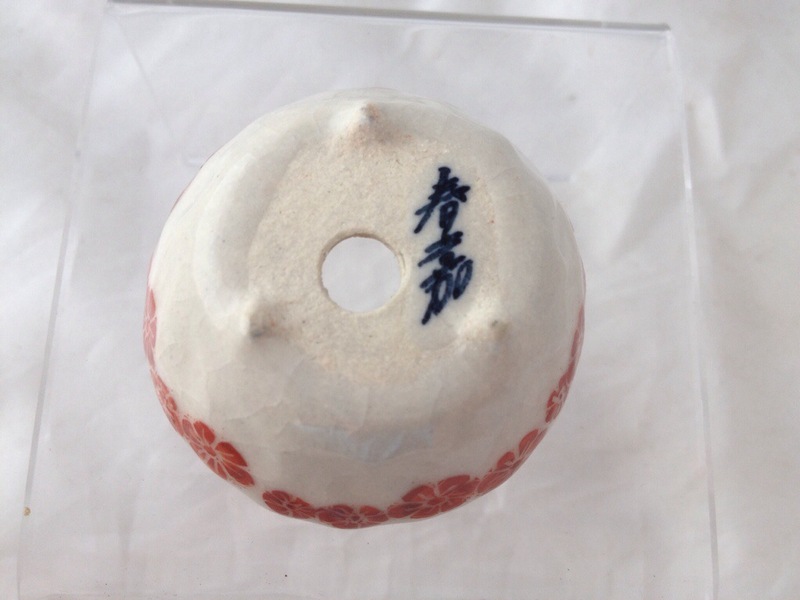 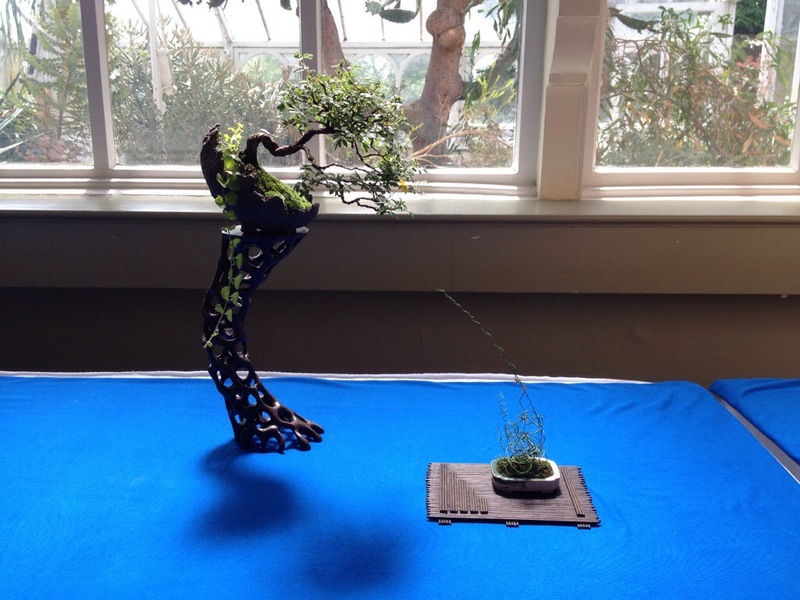 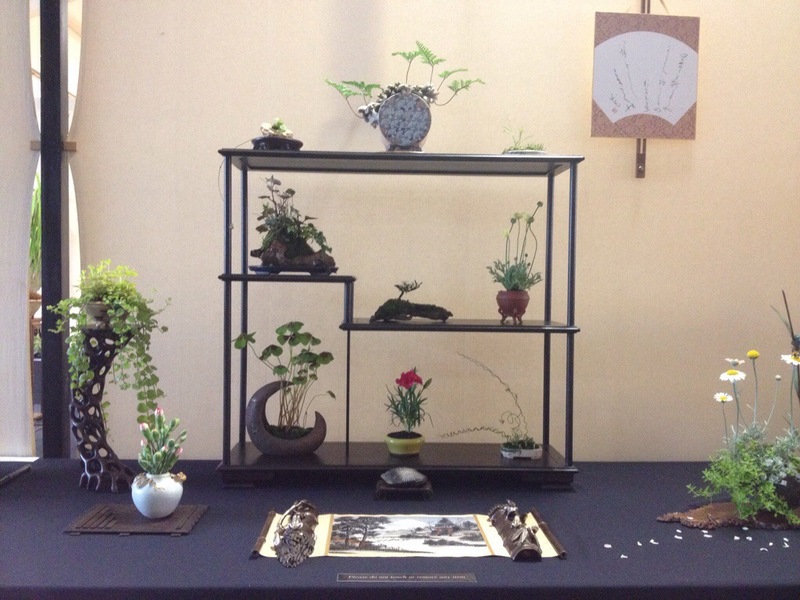 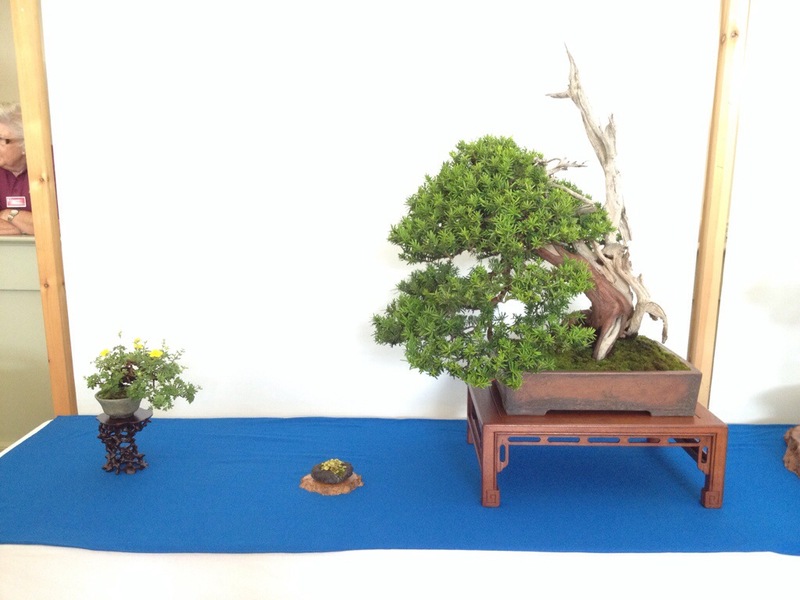 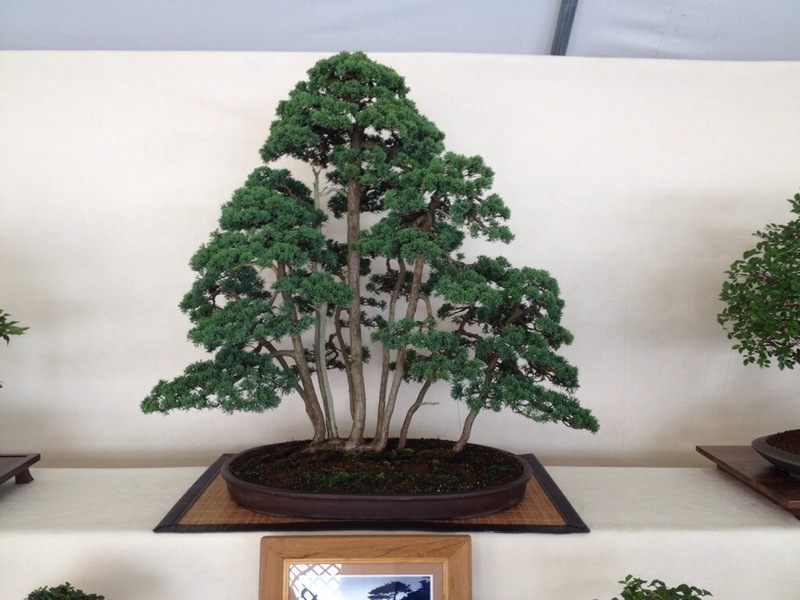 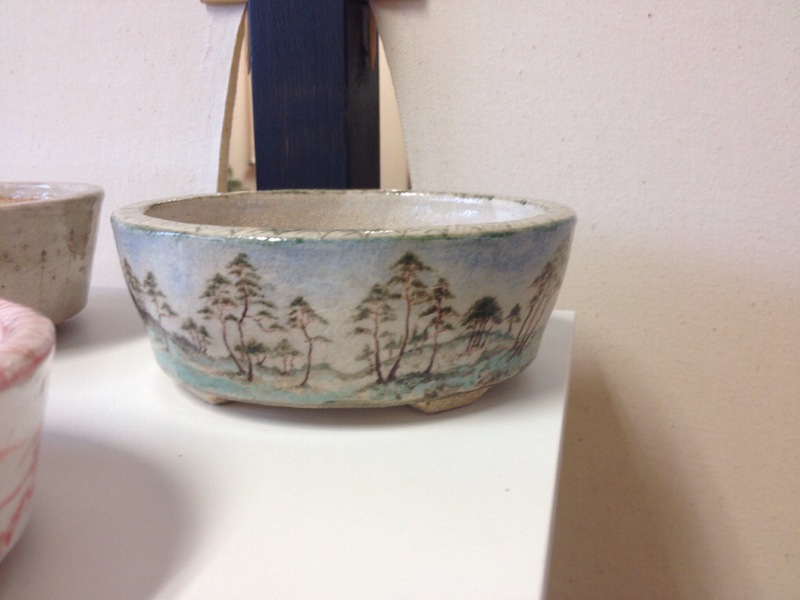 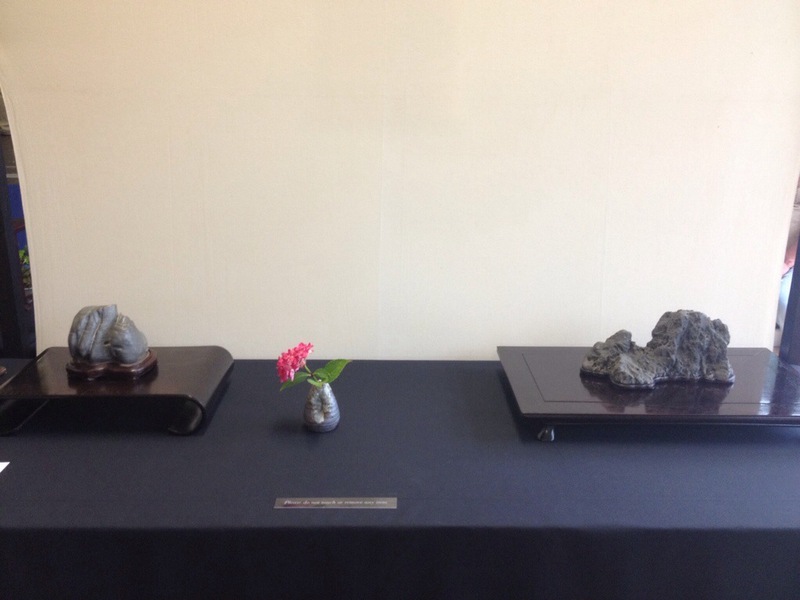 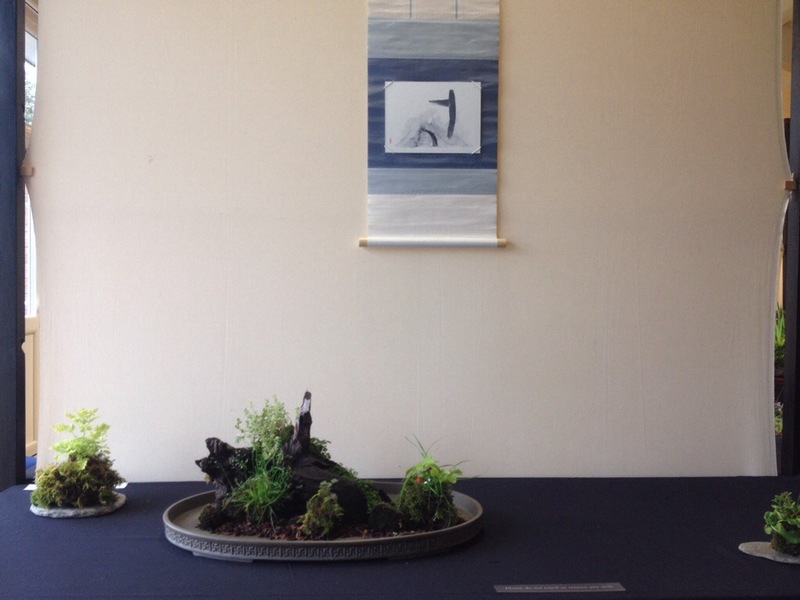 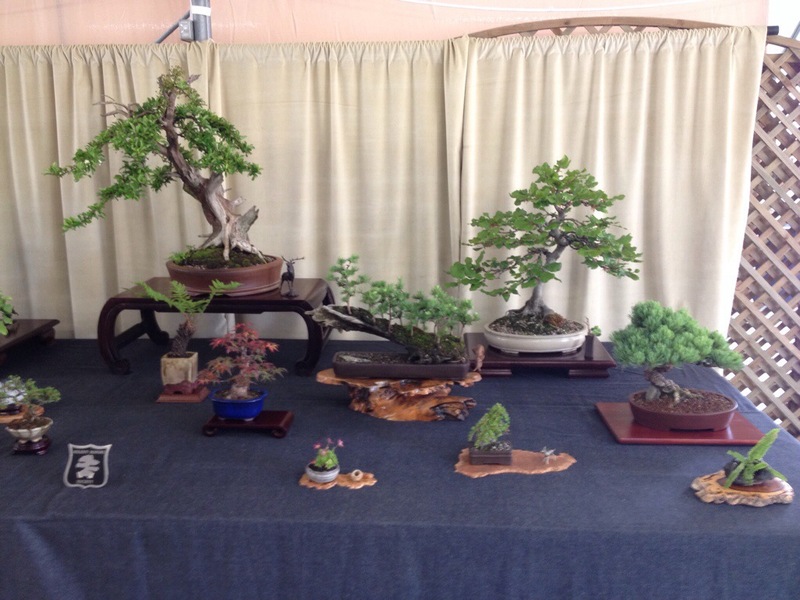 BONSAI FOR ALL SHOW. 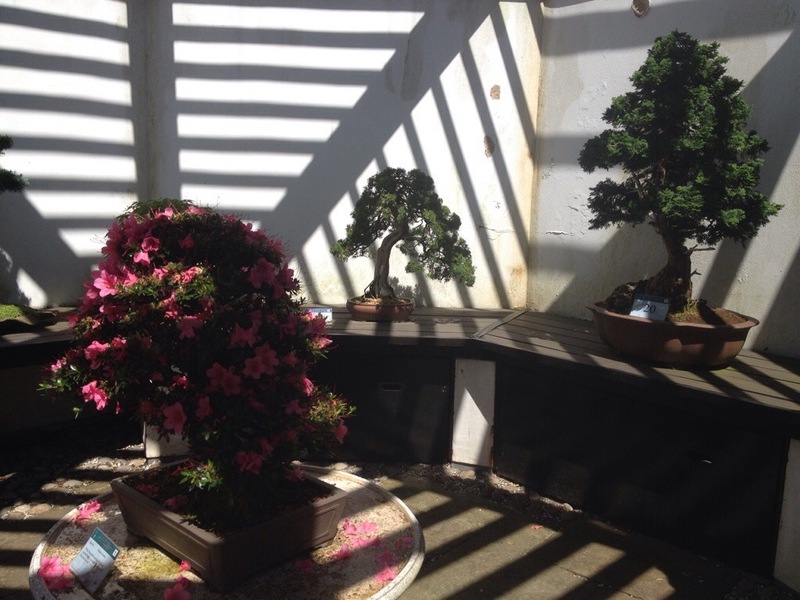 Birmingham. 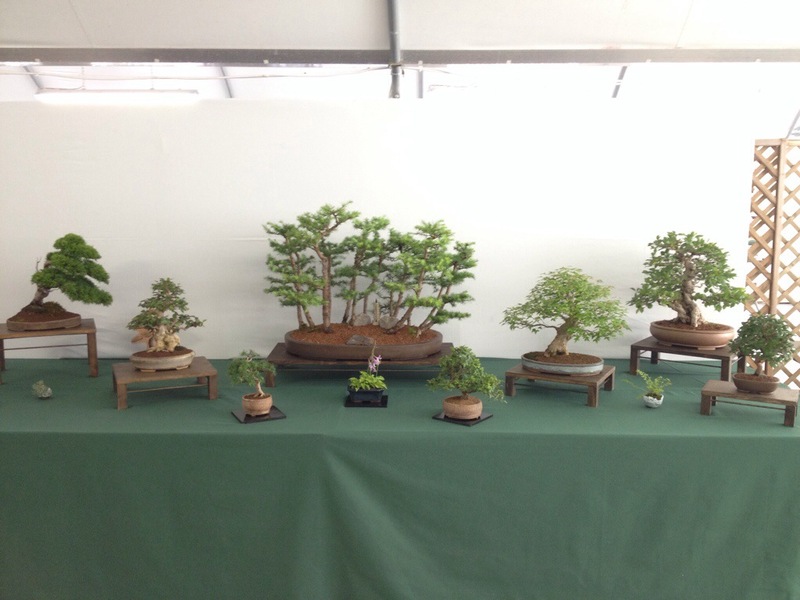 Second show of the day and up the road to the Birmingham botanical gardens for the BONSAI FOR ALL show organised by the friends of the national collection. 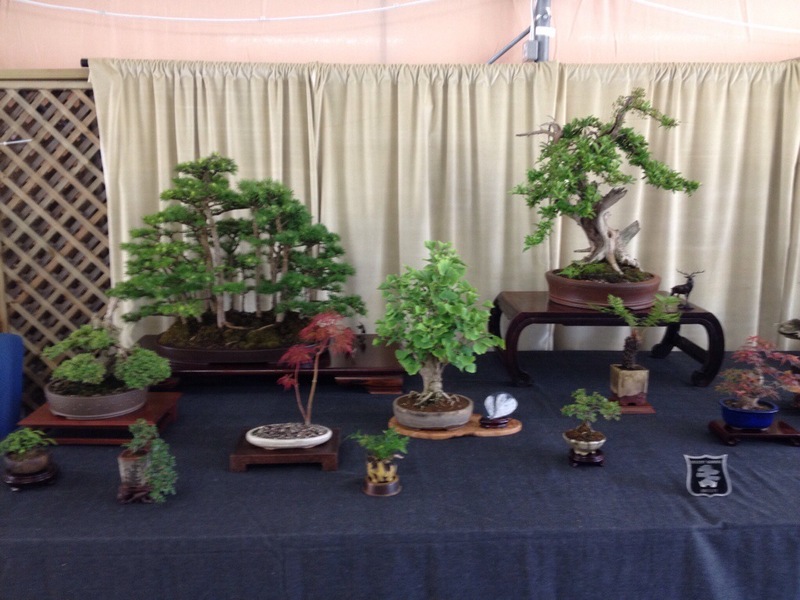 Very good trade area at the show filling one of the two large rooms. 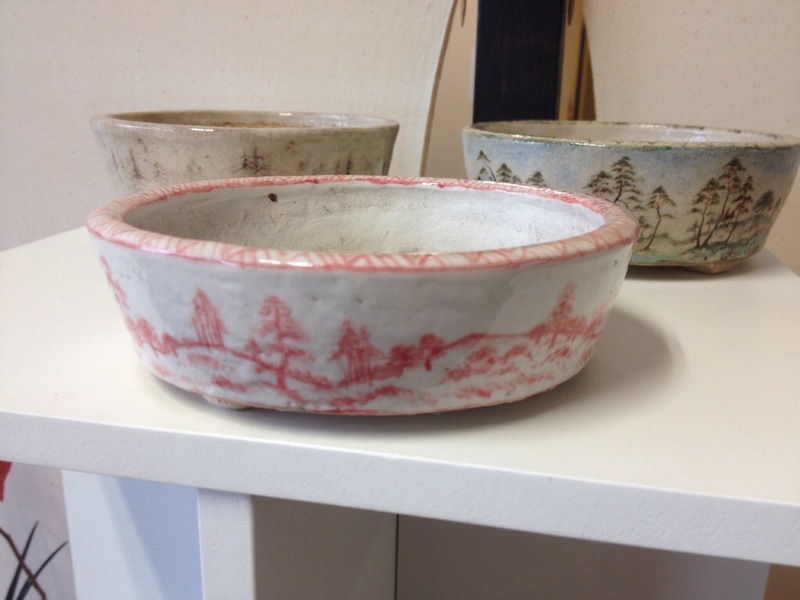 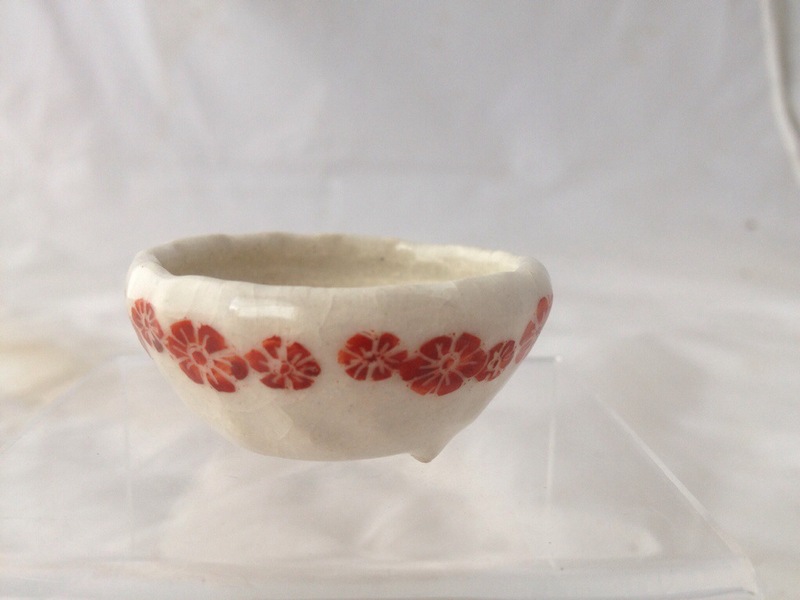 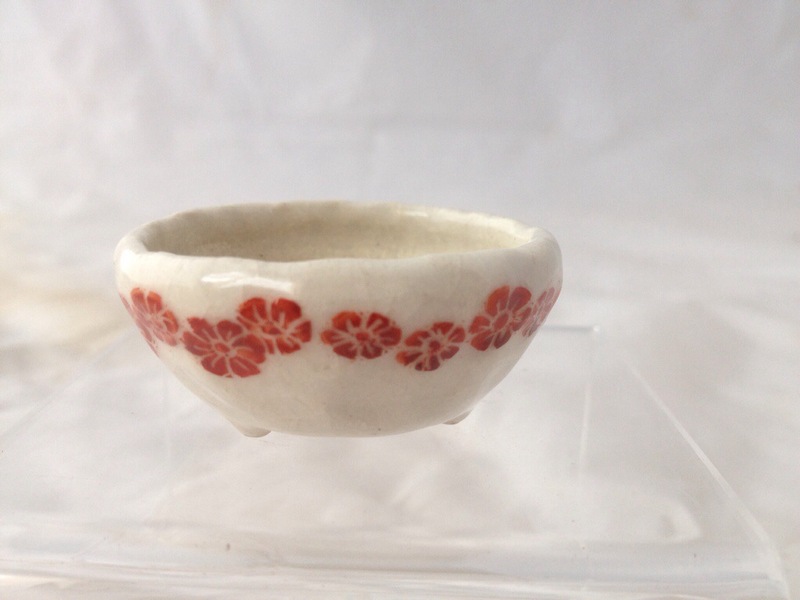 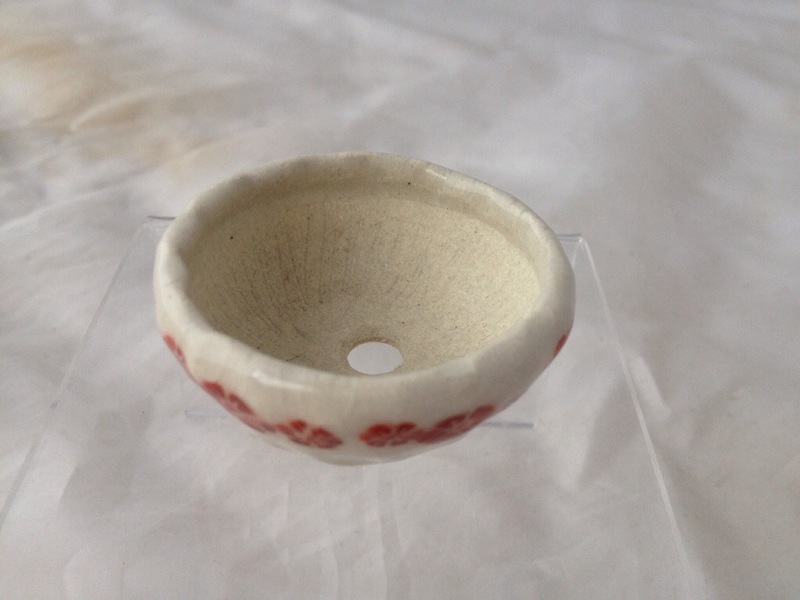 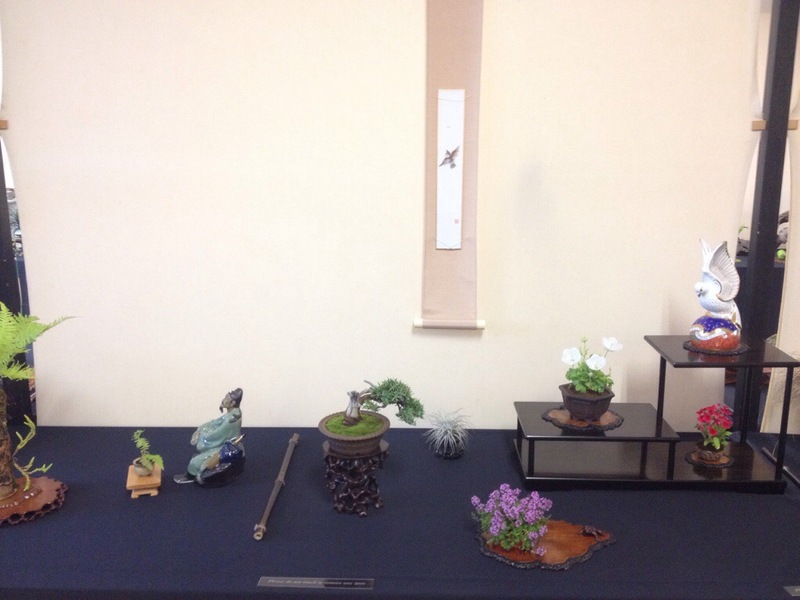 Good to see a couple of the Scottish dealers down for the trade, been a while since I was treated to seeing some of Ian Baillie’s superb pots and yes I did buy a couple, but after I took some pictures this time. 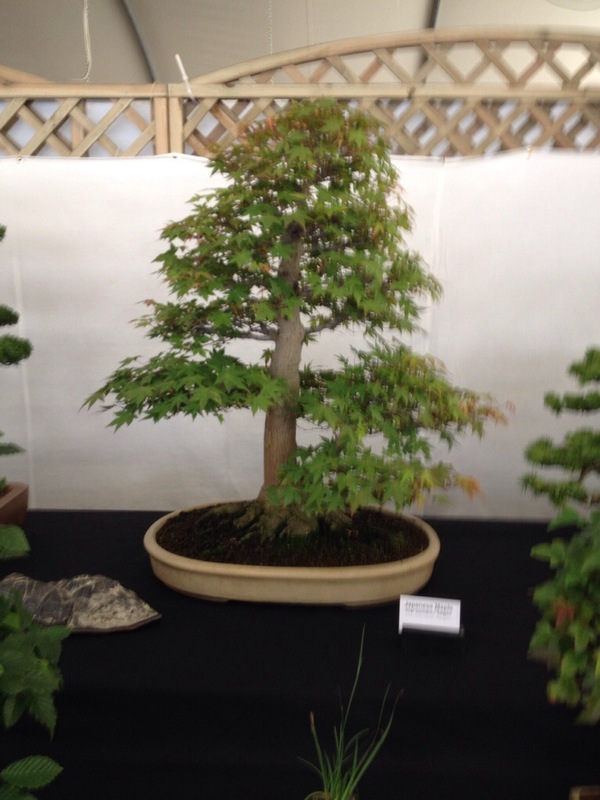 Down as a regional show but a very good standard with trees from all around the UK. 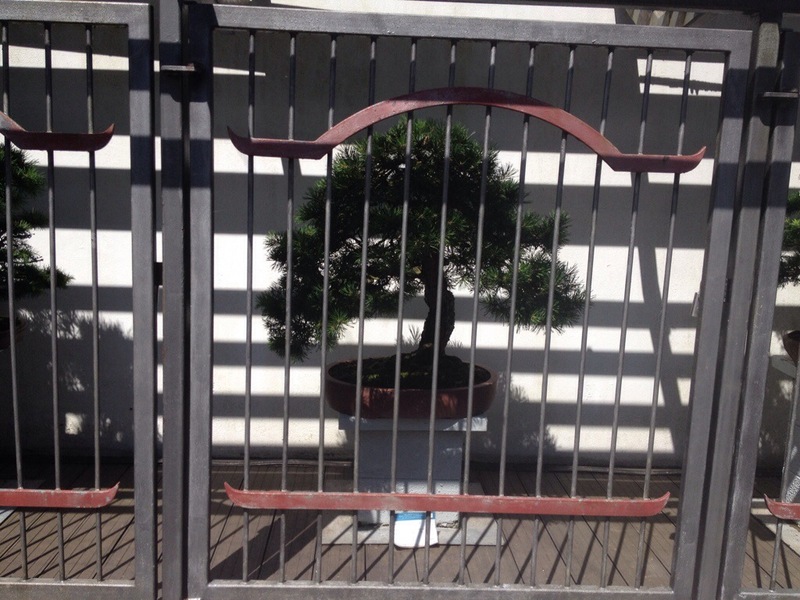 The last 3 pictures are form the national collection, but trees behind bars are no good for pictures or in fact the health of the trees looking at a couple of them sitting in the shade when they want the sun. 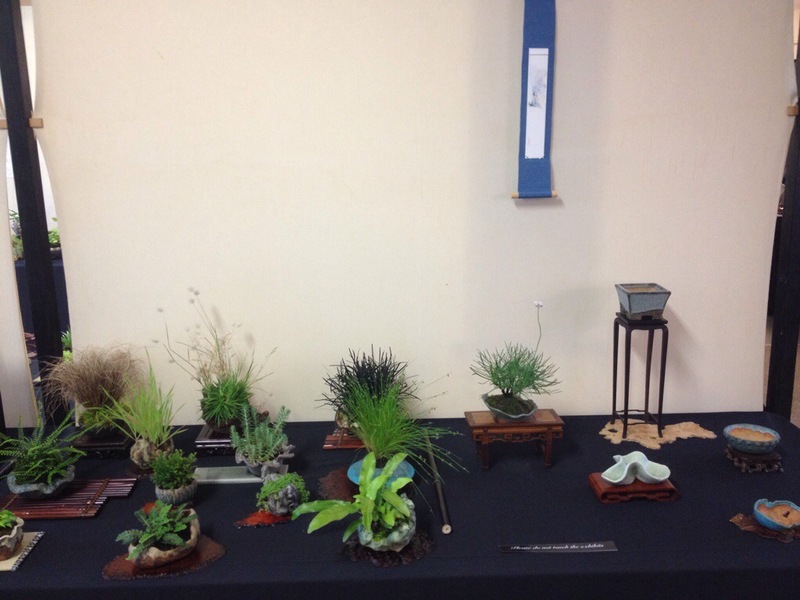 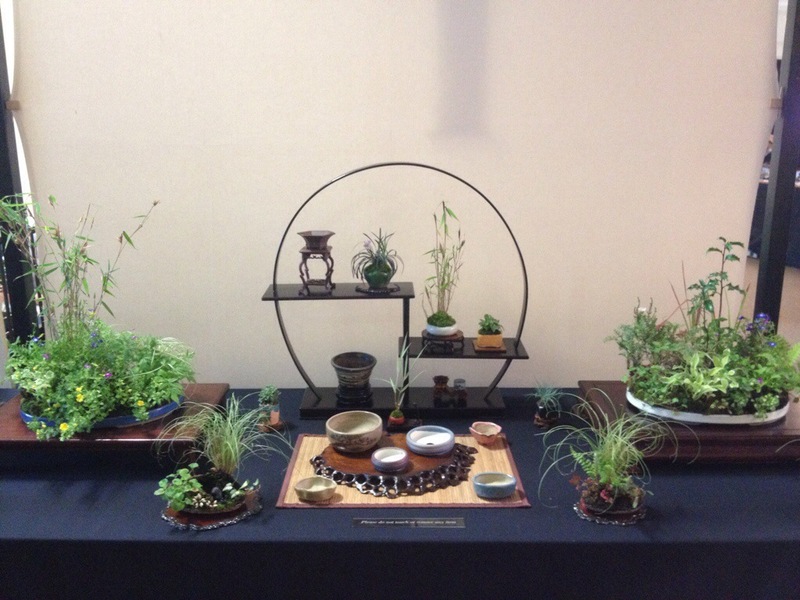 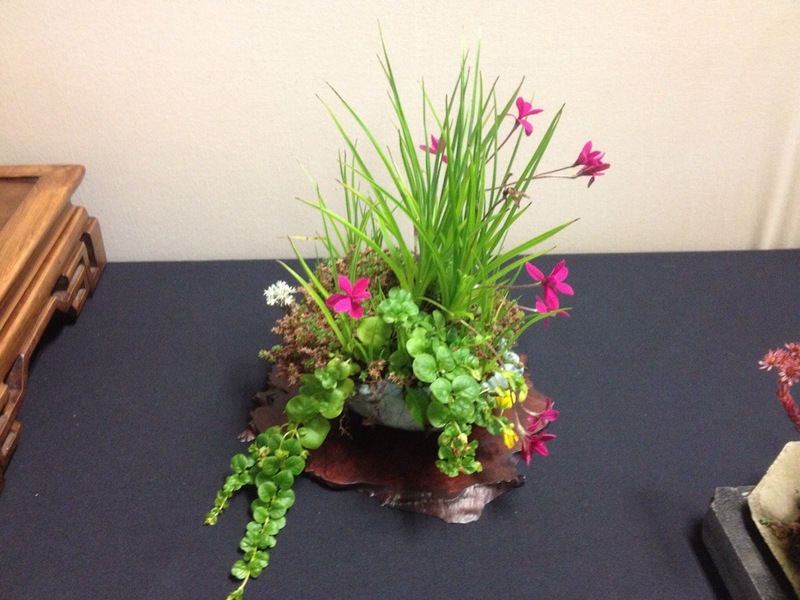 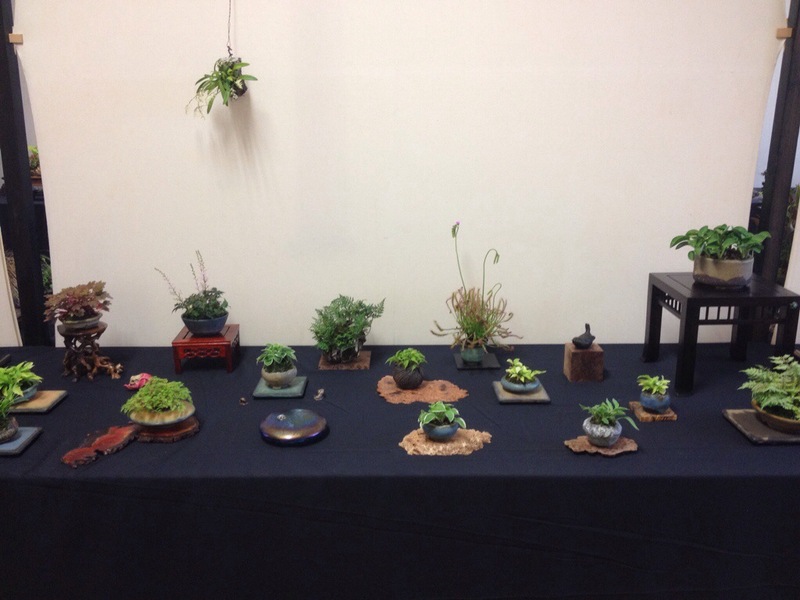 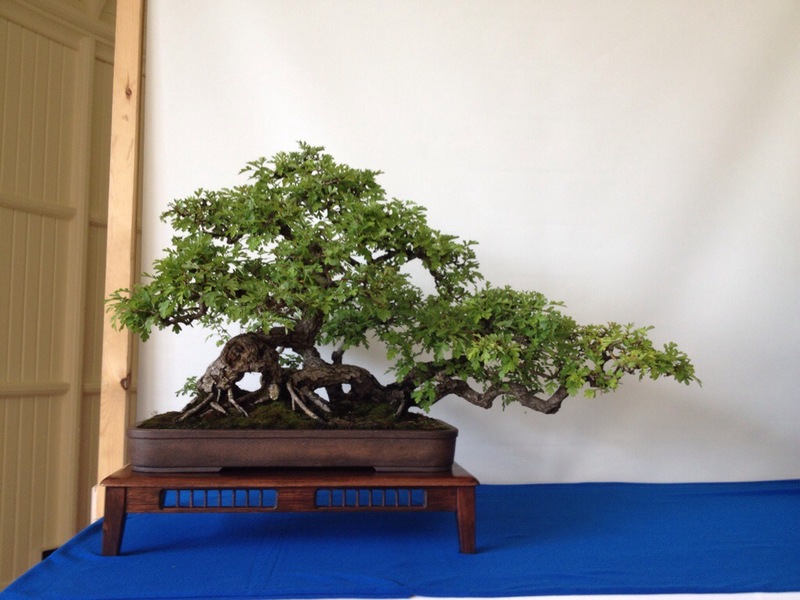 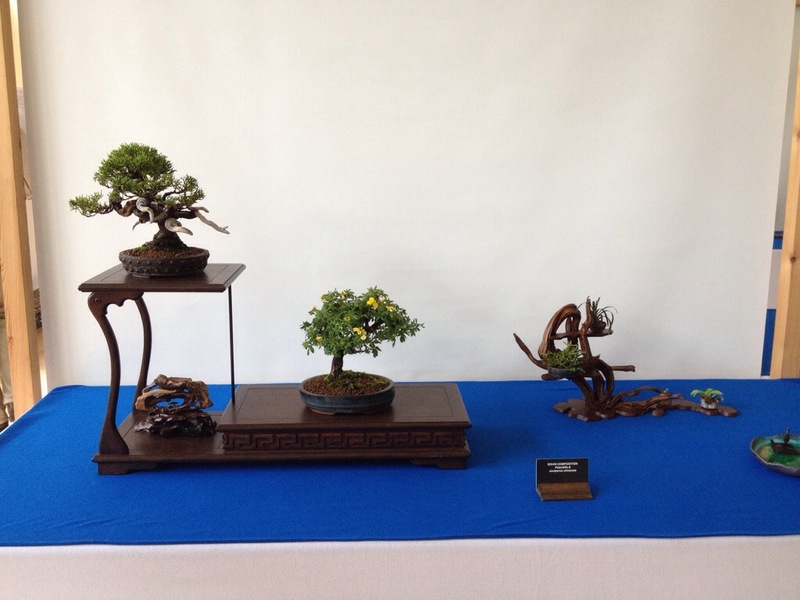 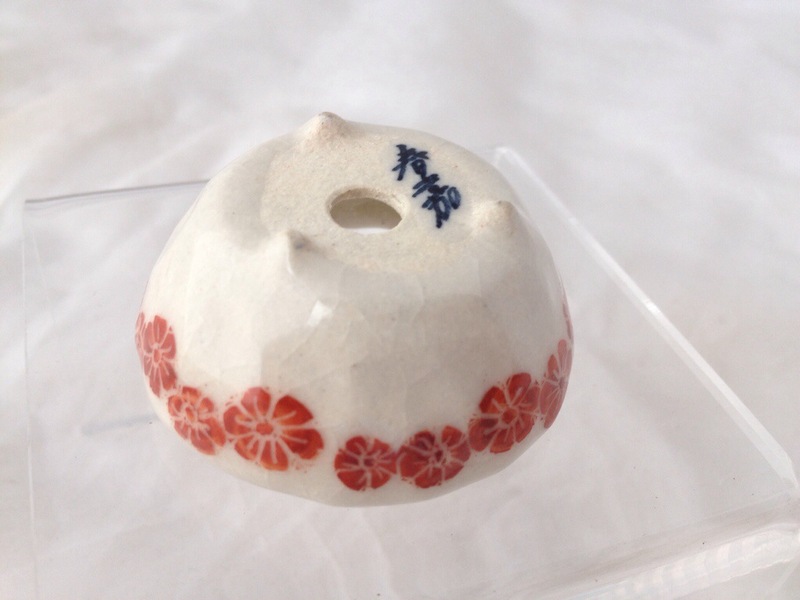 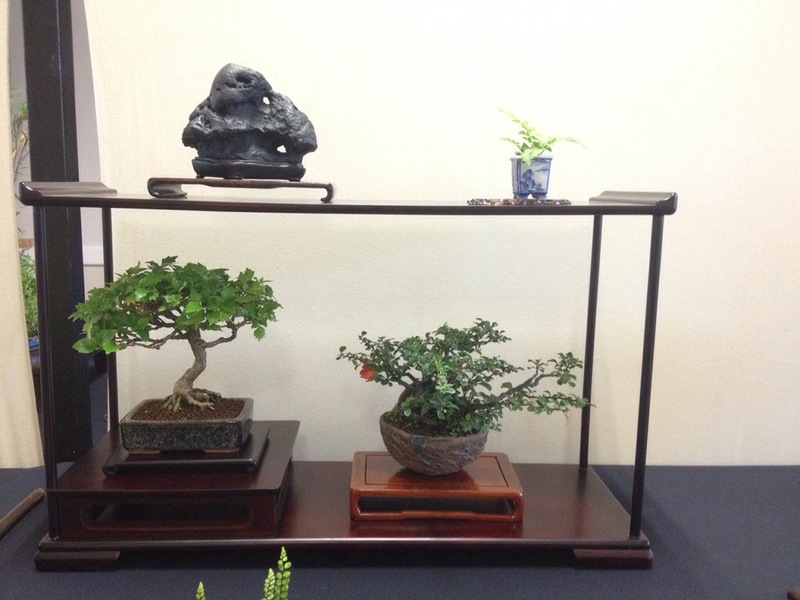 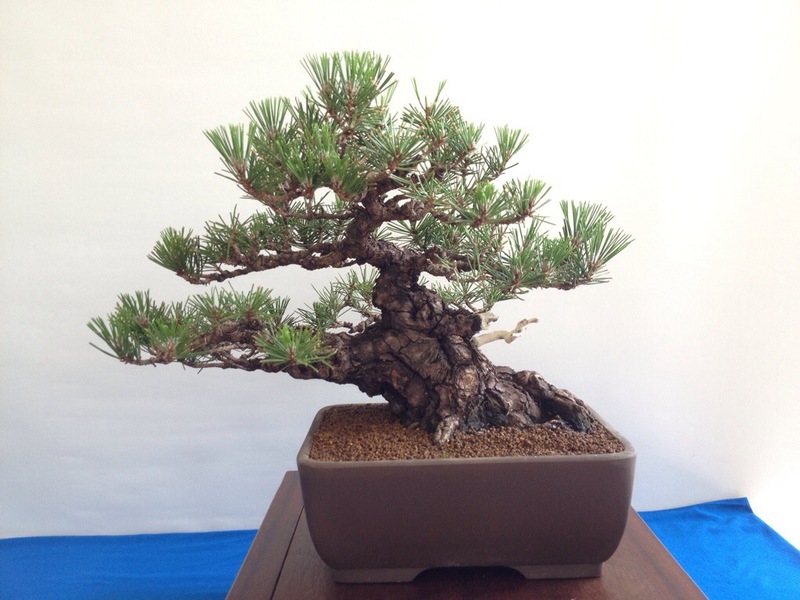 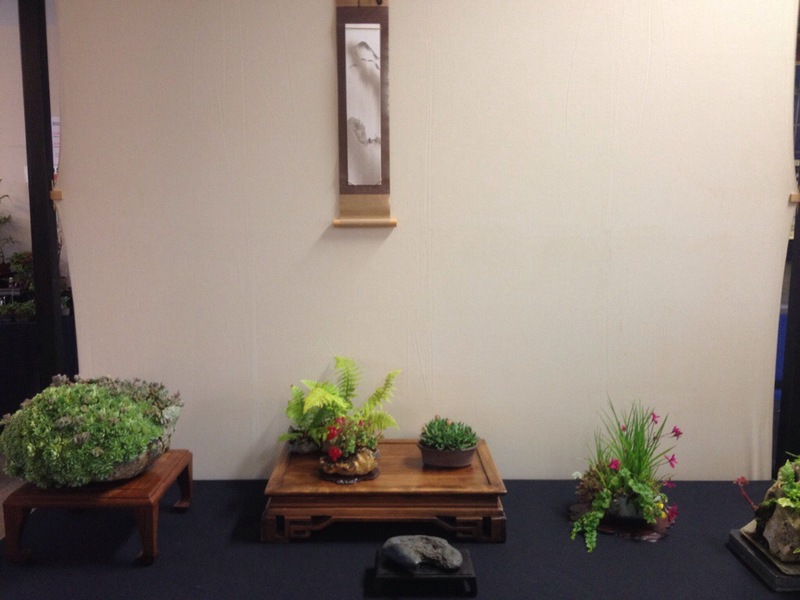 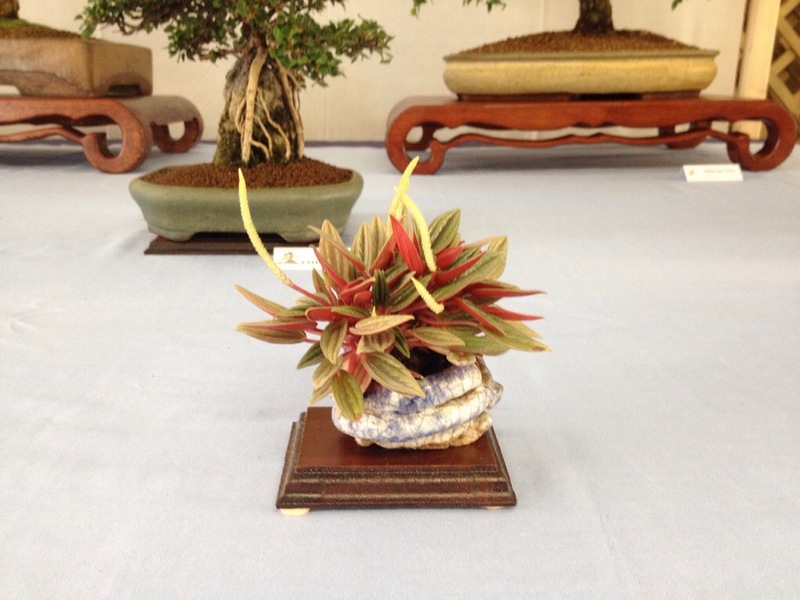 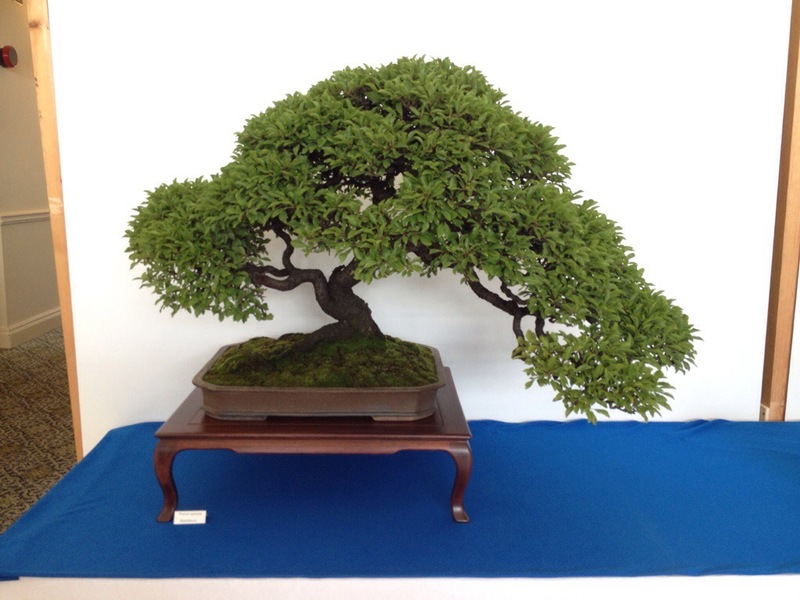 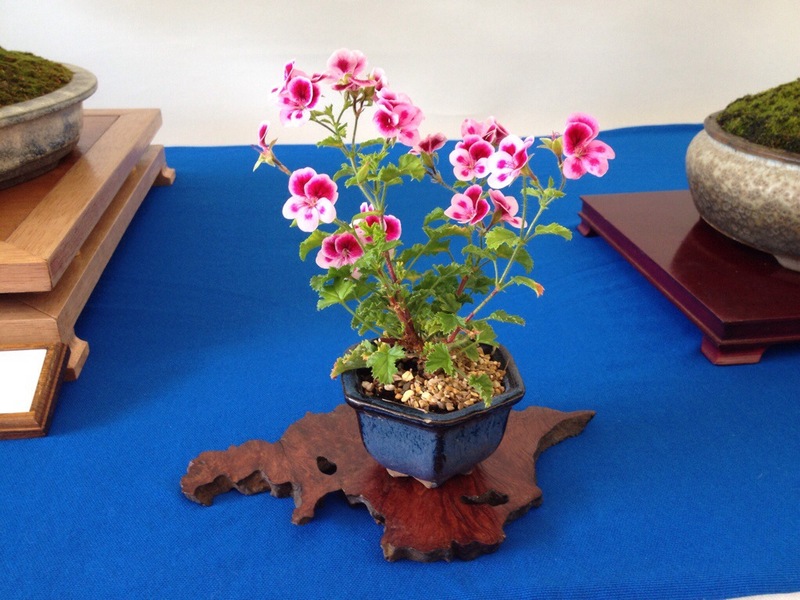 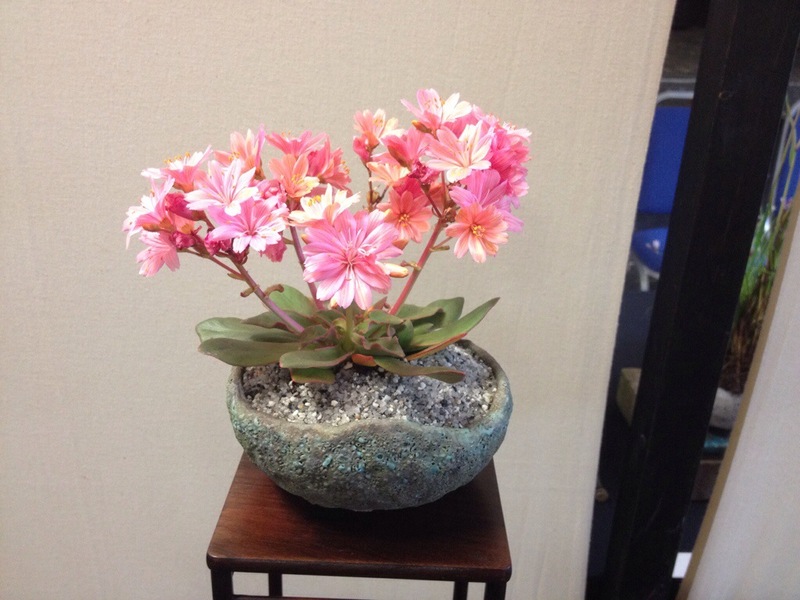 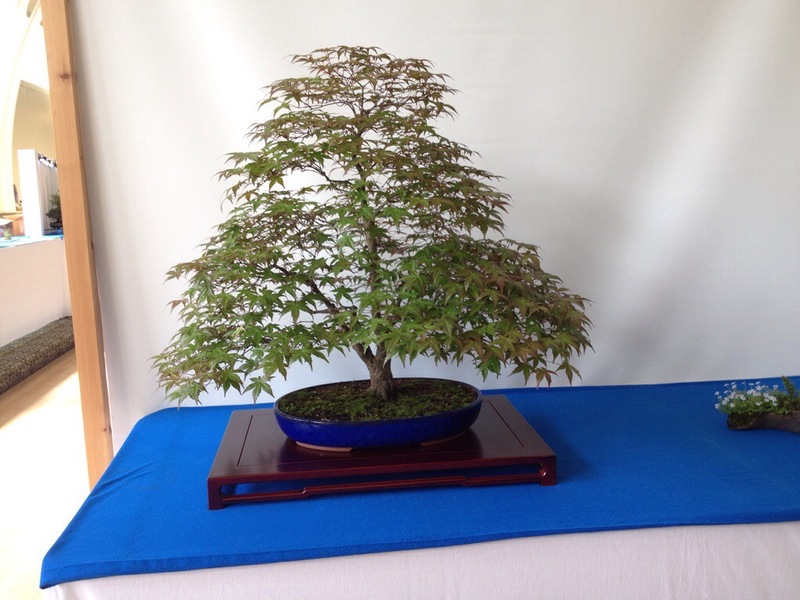 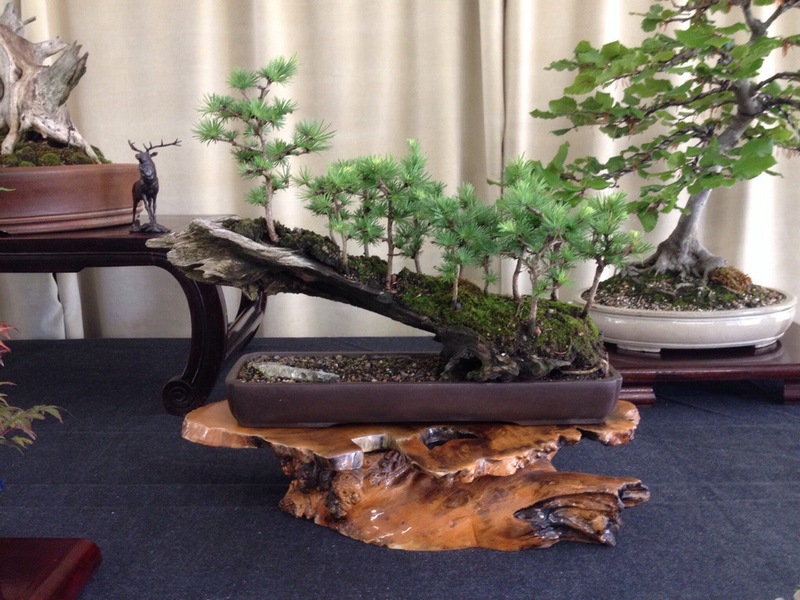 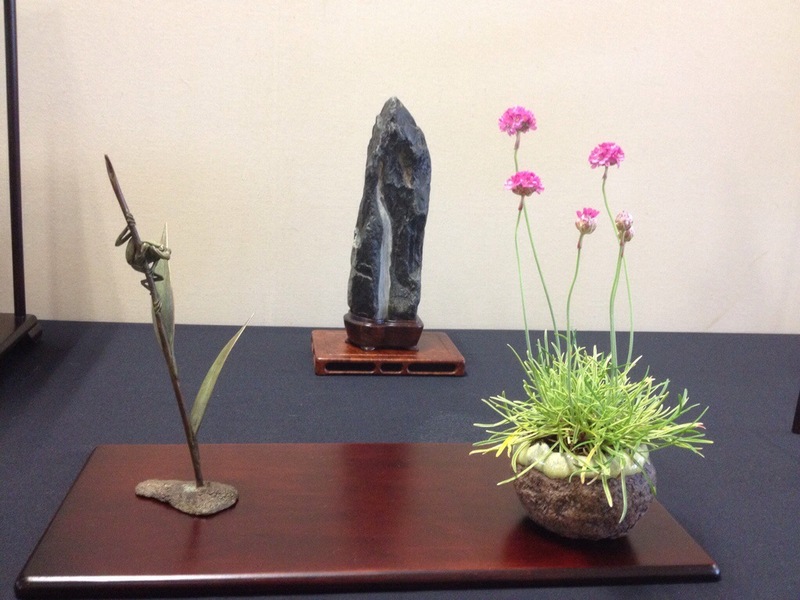 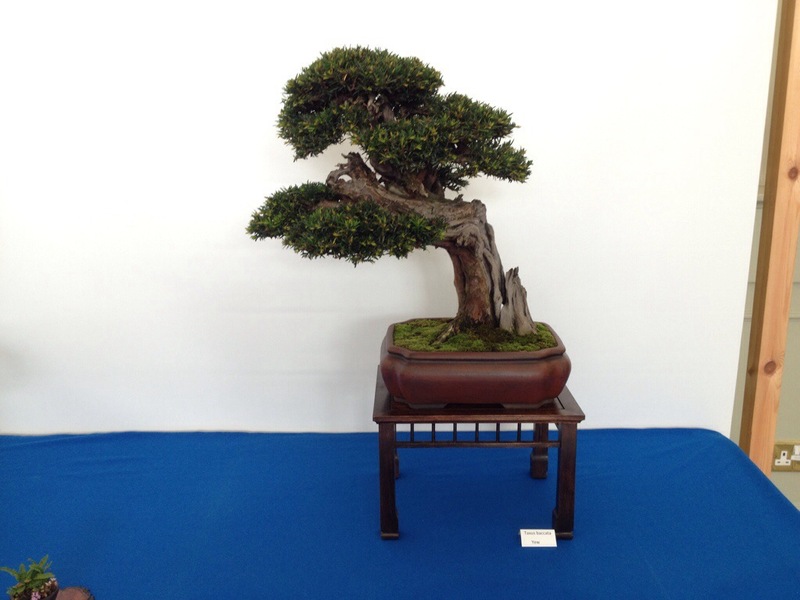 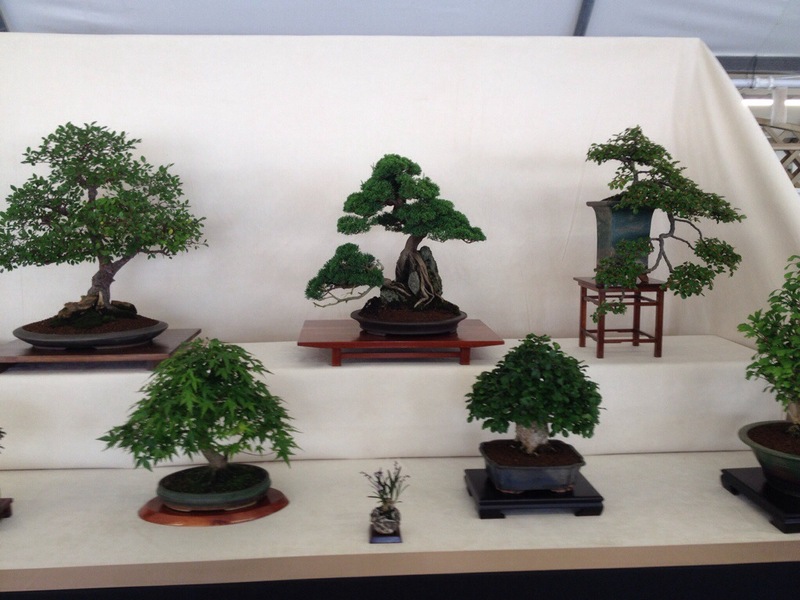 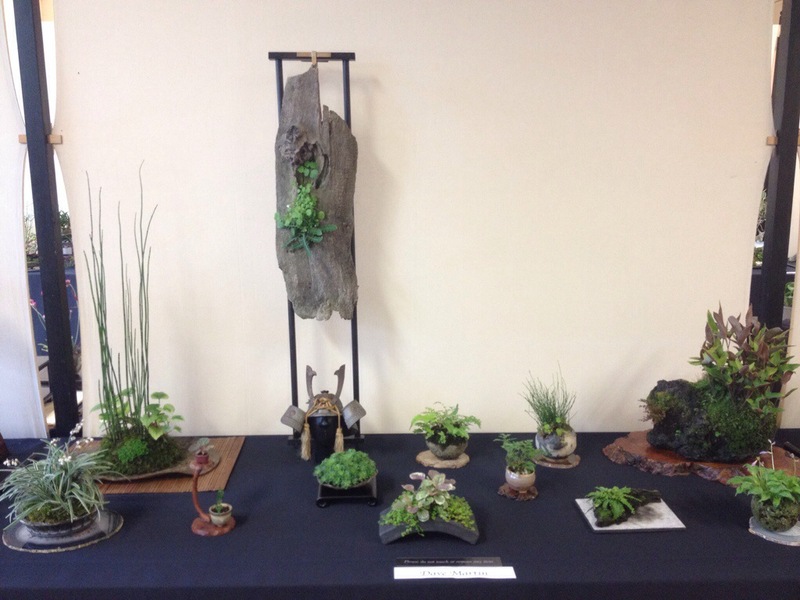 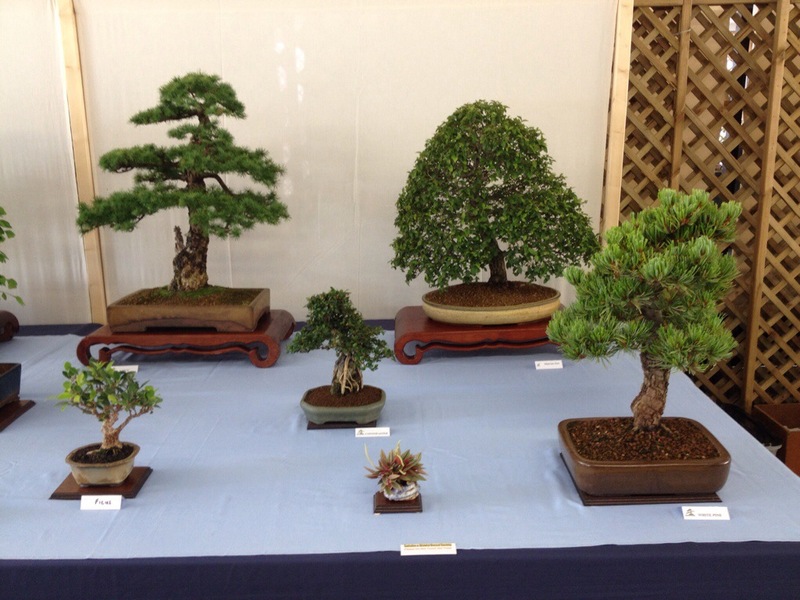 Newbury & District Bonsai Society, ROOTS BONSAI SHOW. 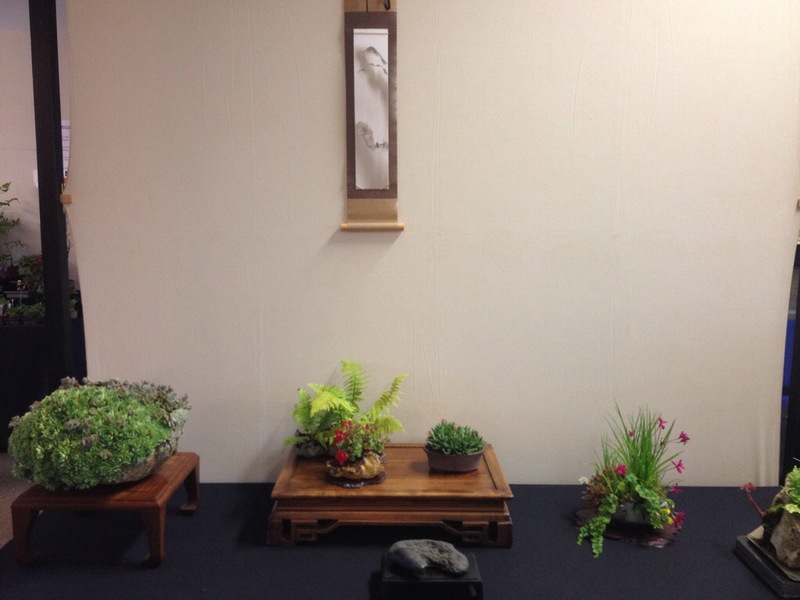 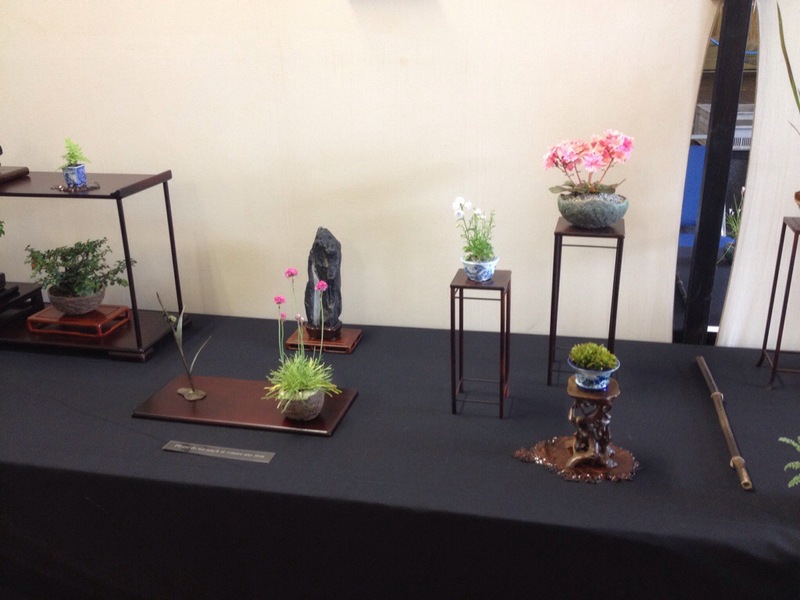 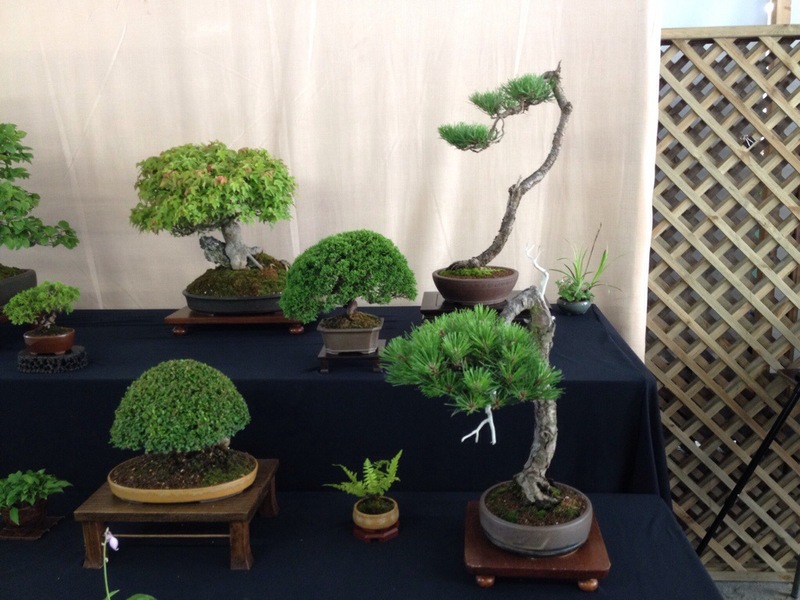 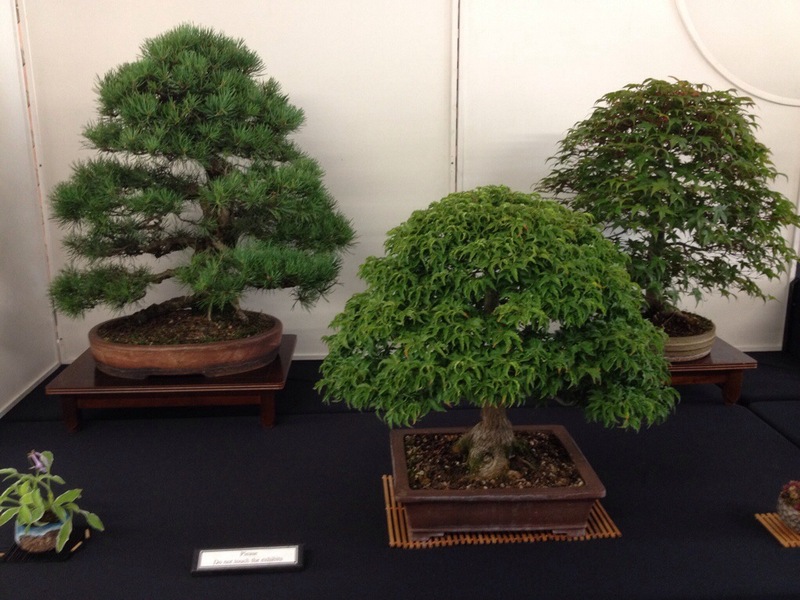 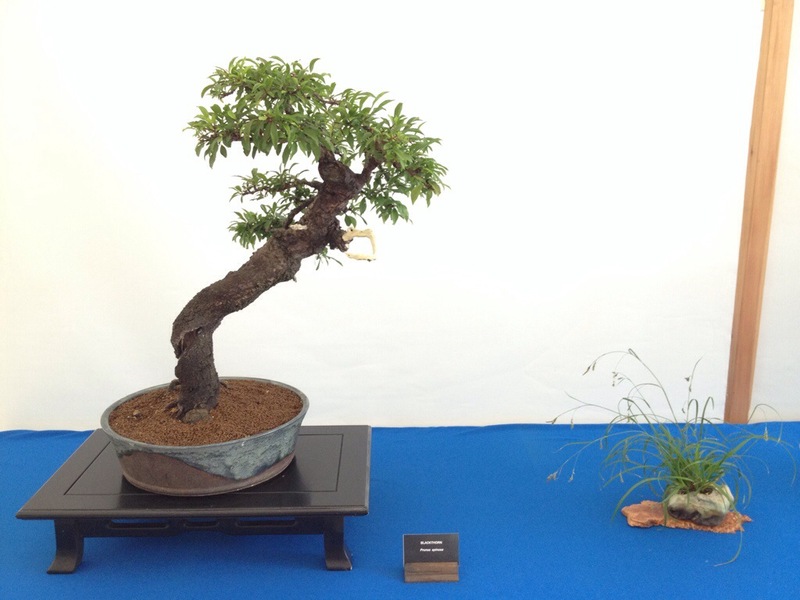 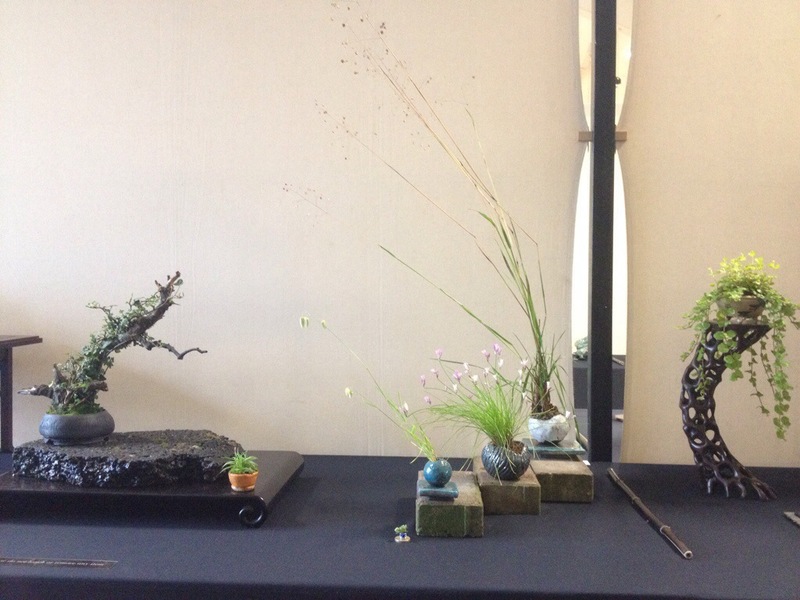 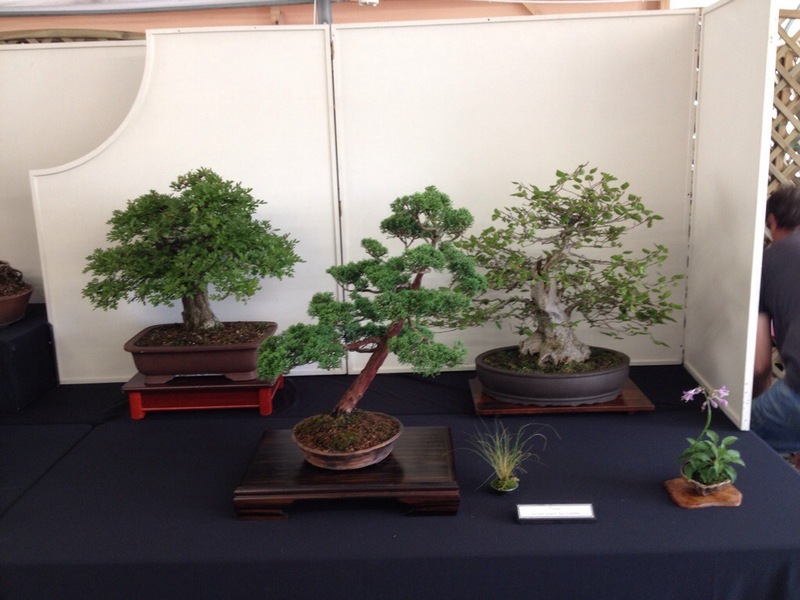 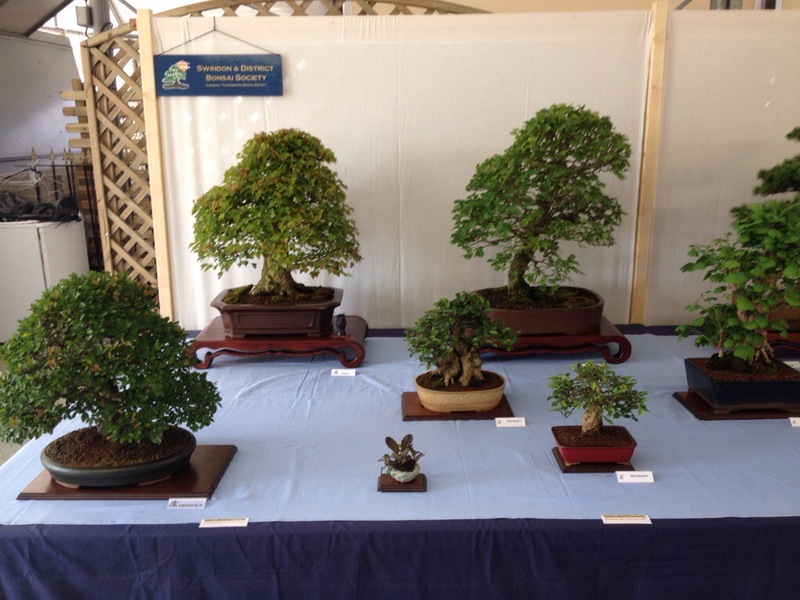 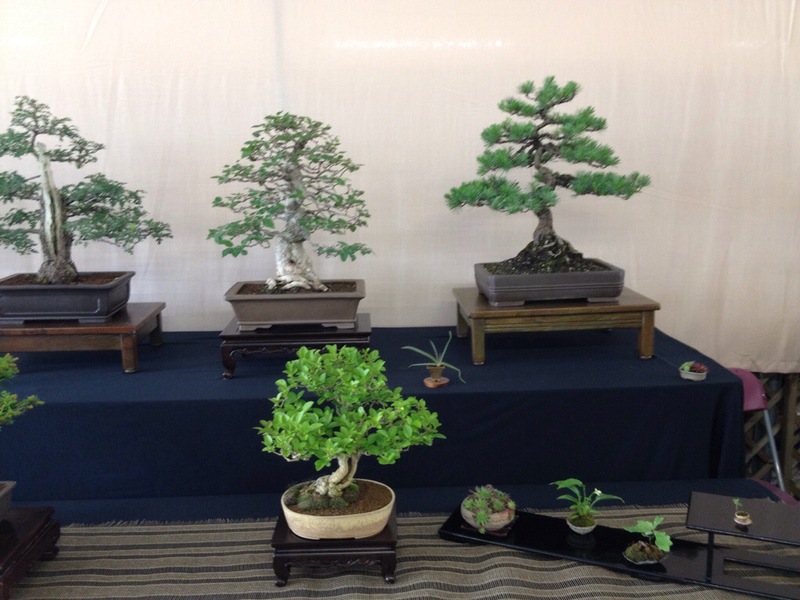 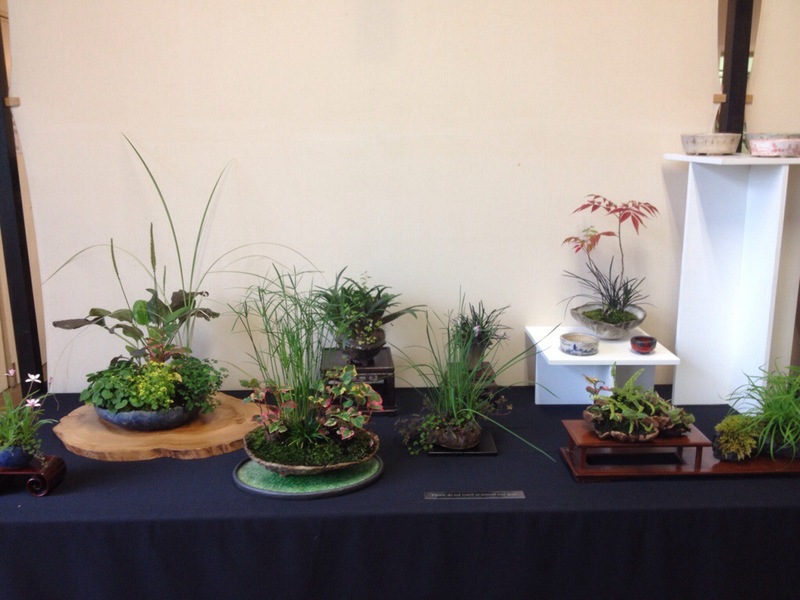 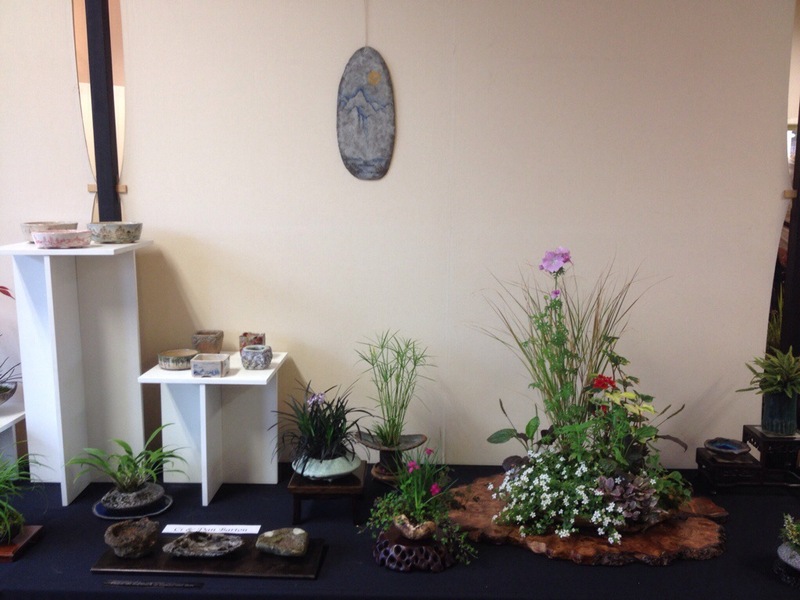 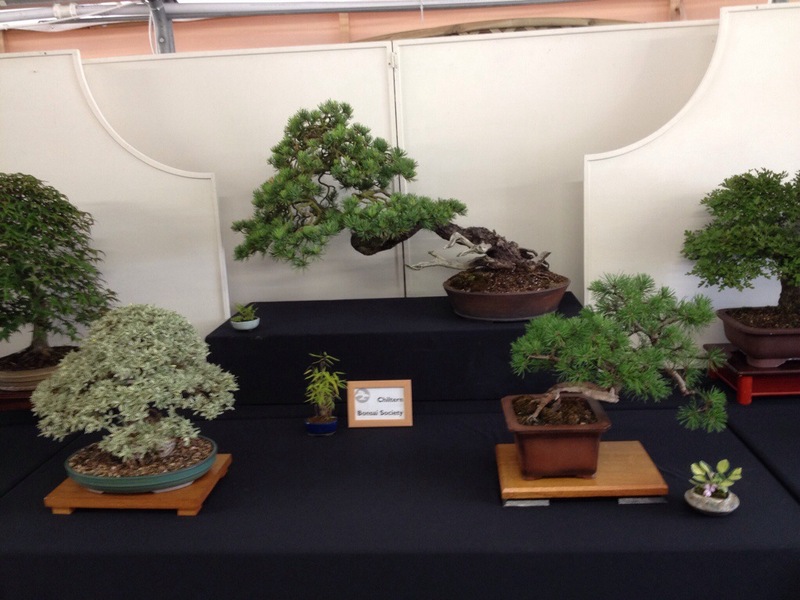 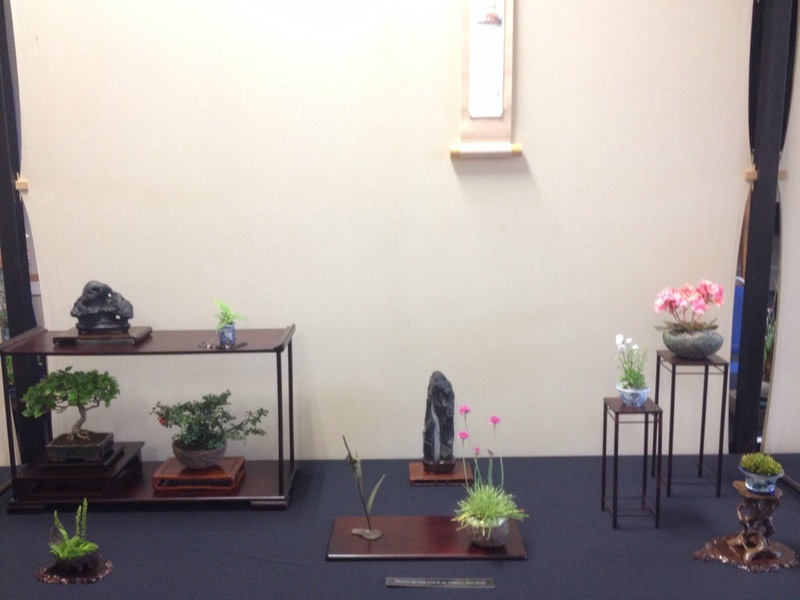 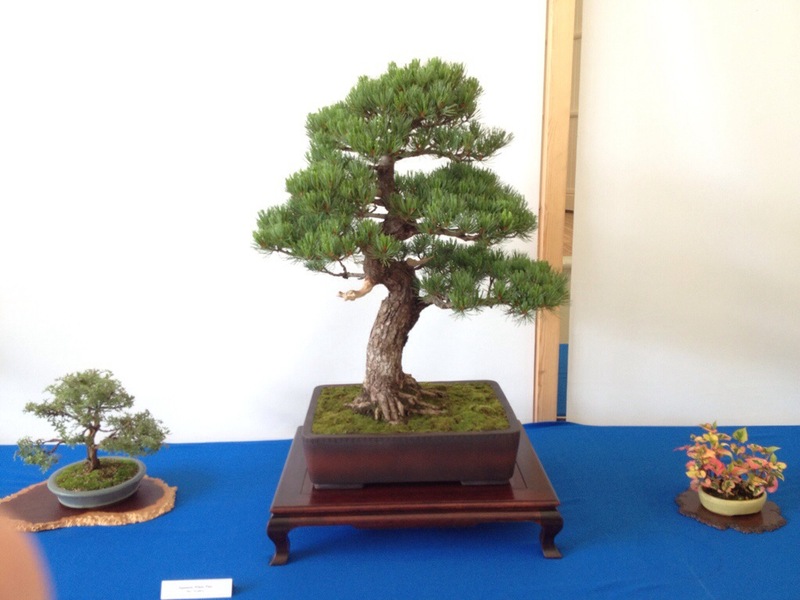 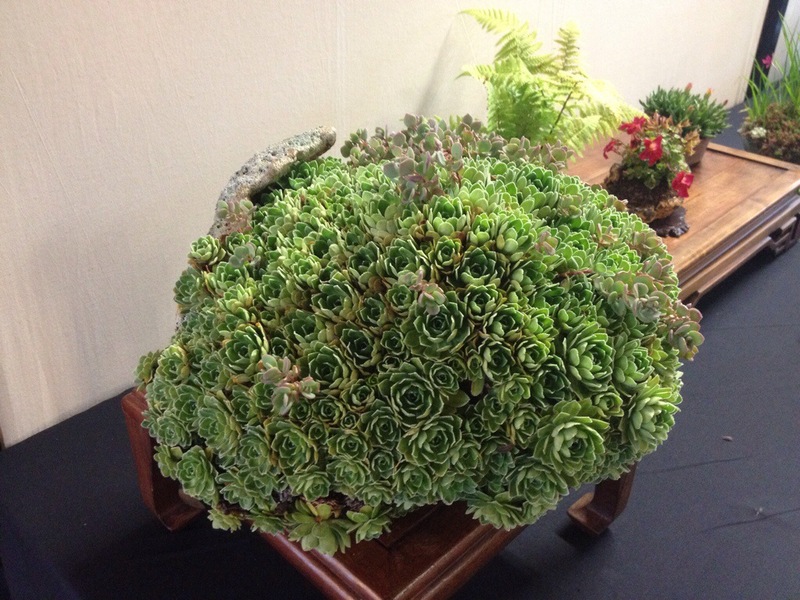 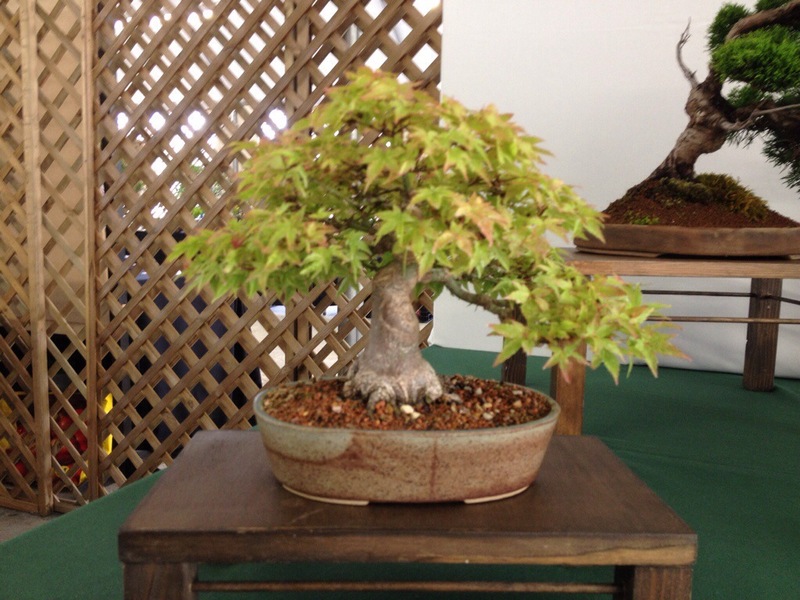 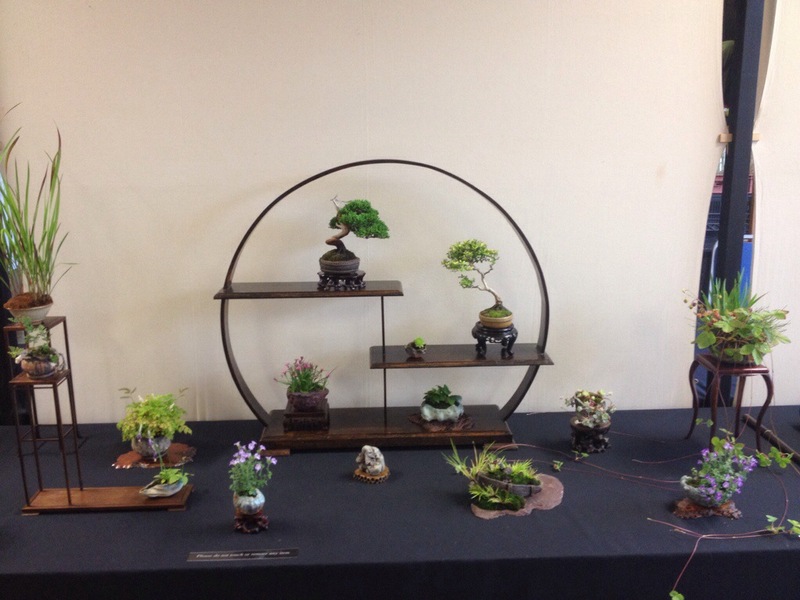 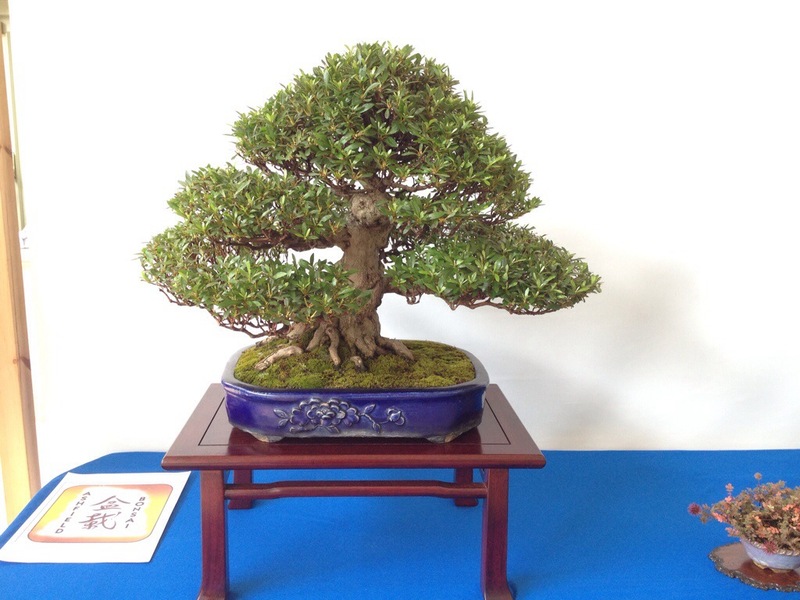 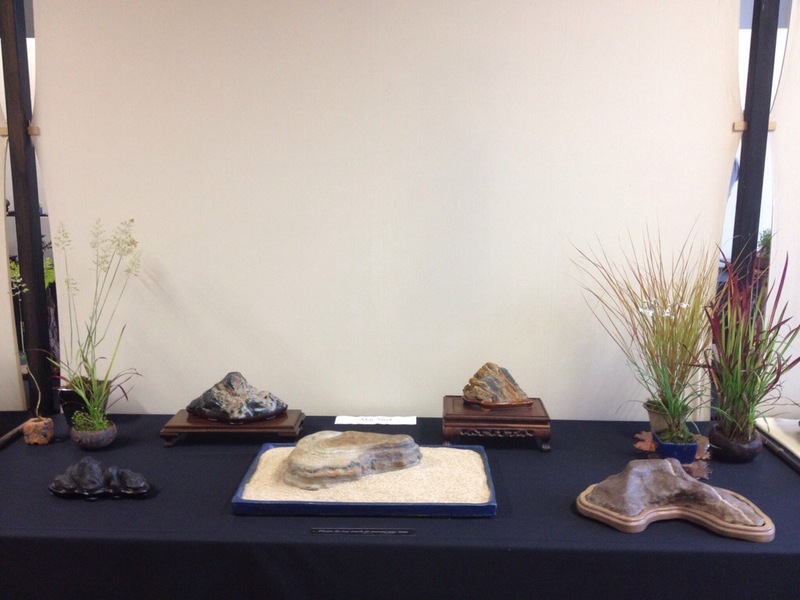 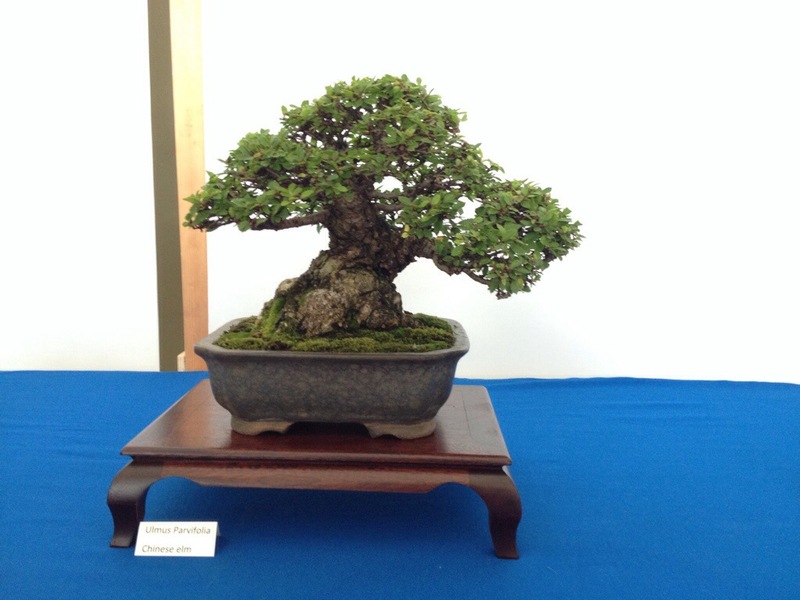 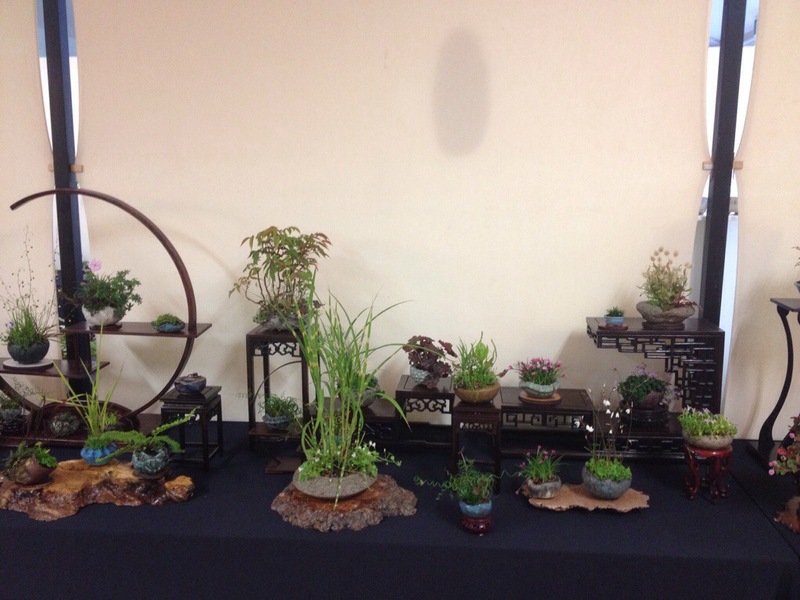 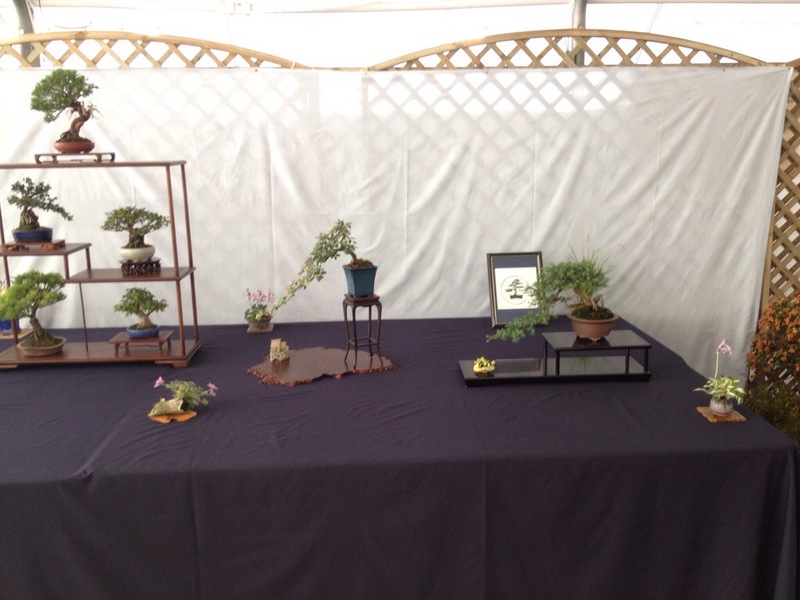 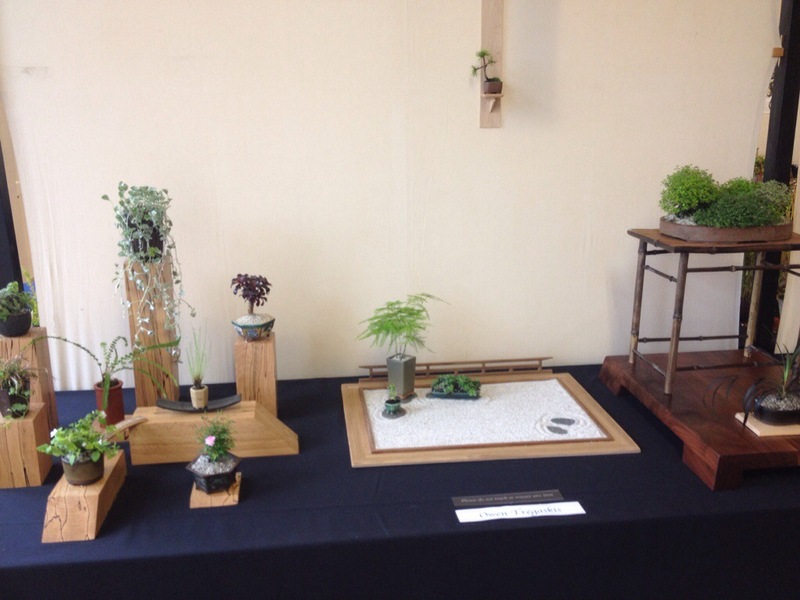 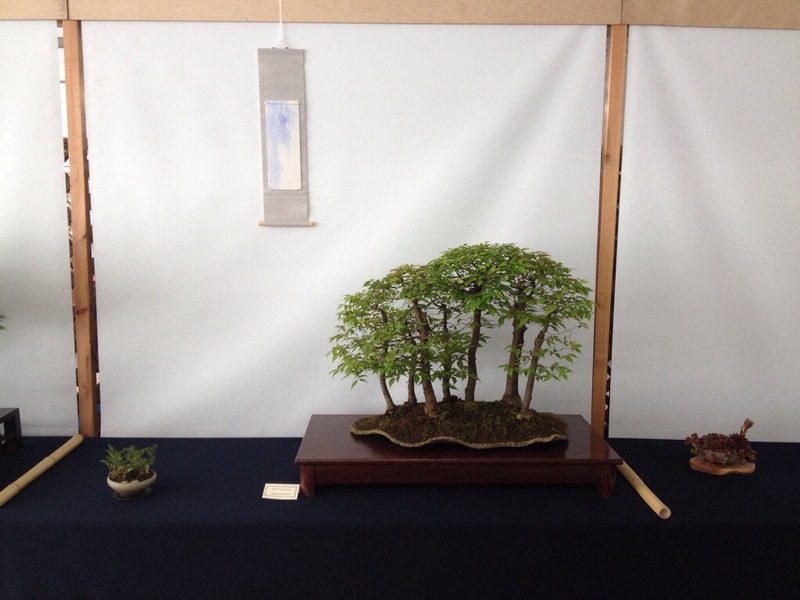 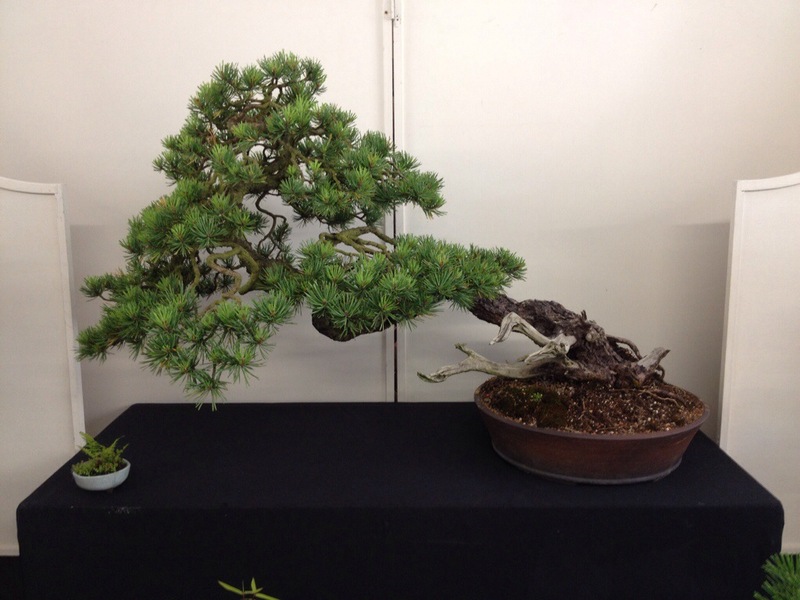 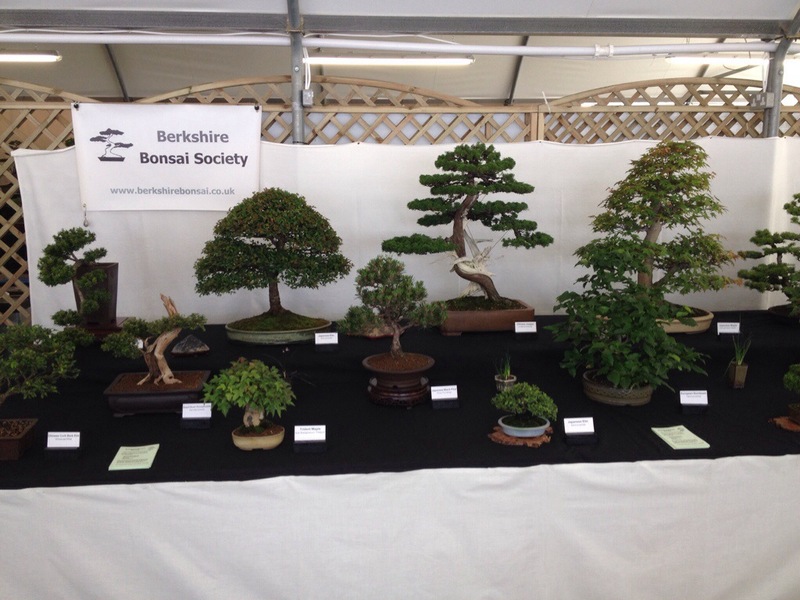 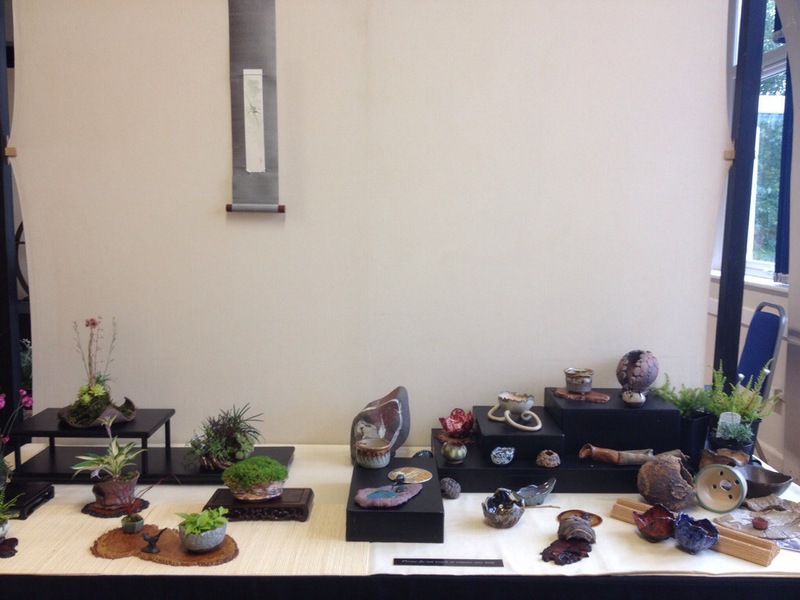 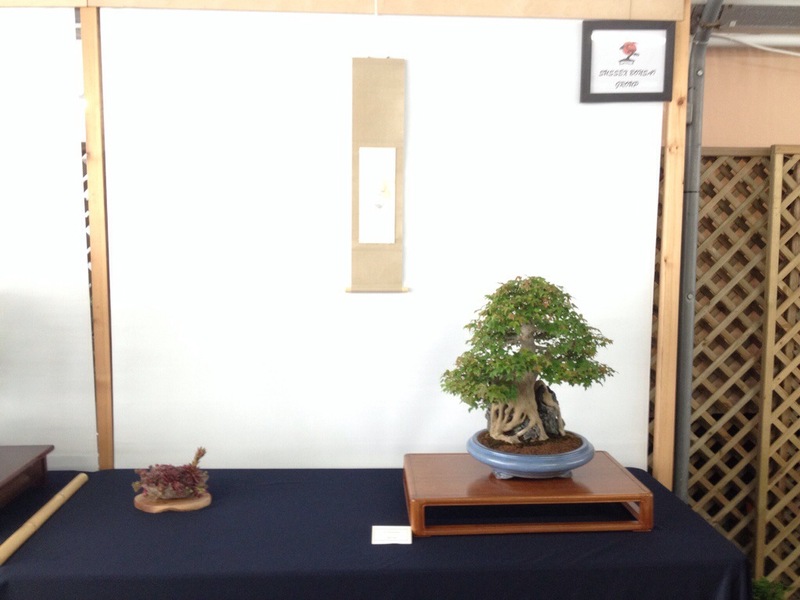 Show one today was to visit the regional show of the Newbury & district bonsai show at the roots garden centre. 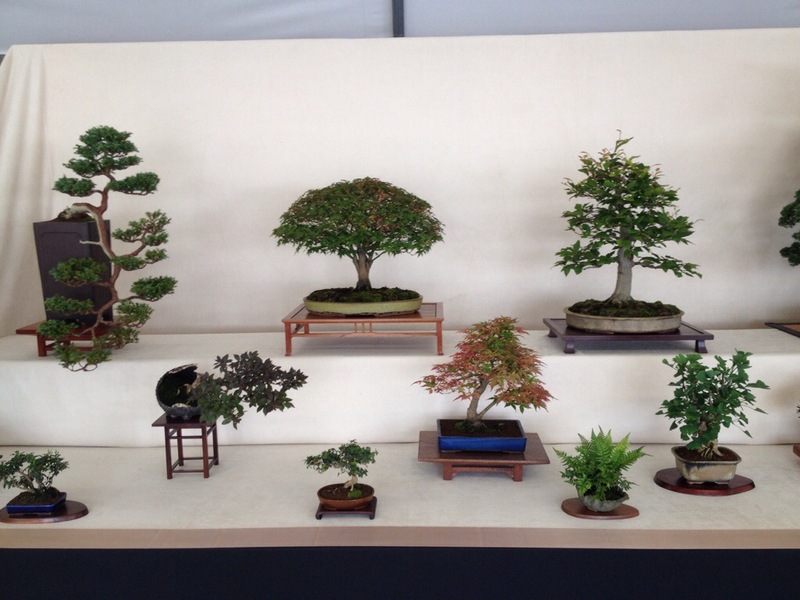 Very well laid out and a good level of bonsai on show. 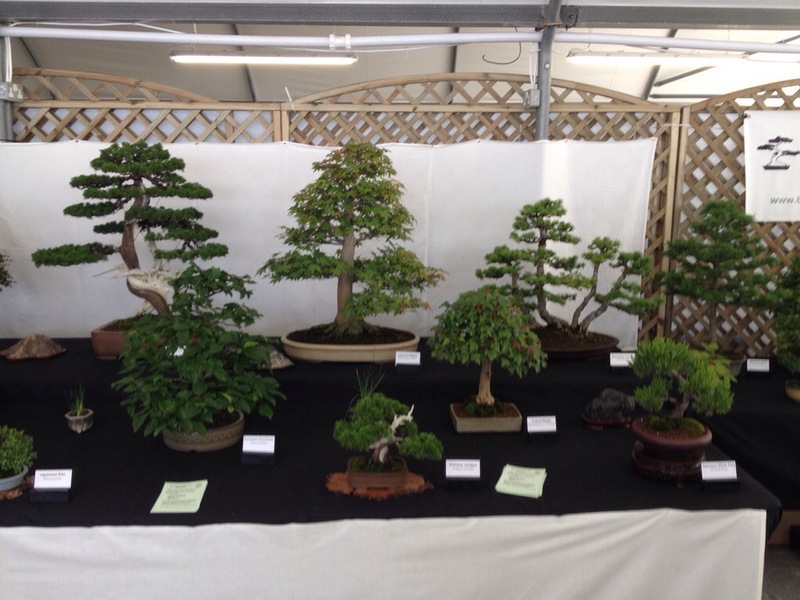 All clubs had some very good trees on show and well prepared. 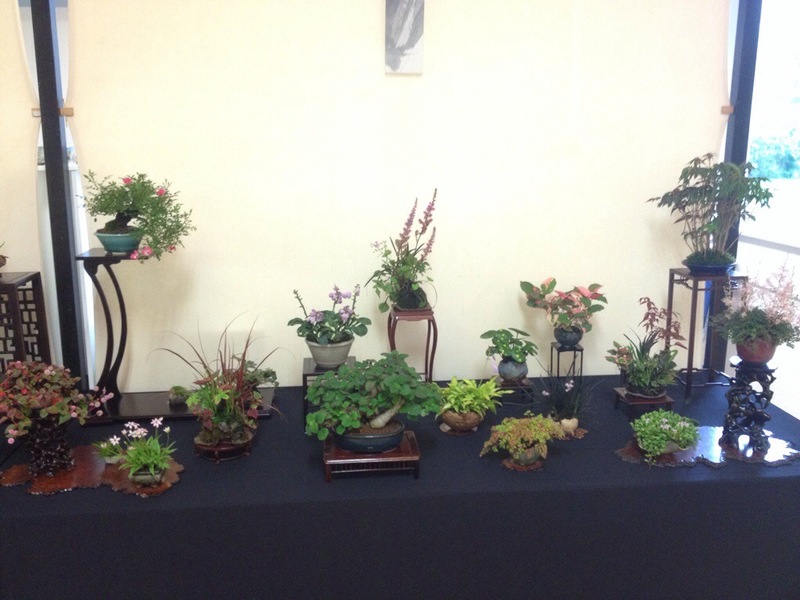 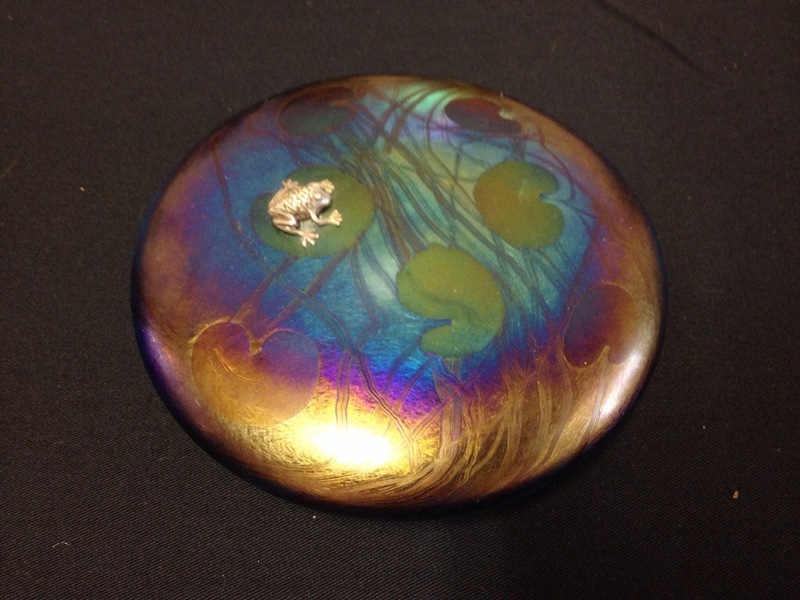 Sorry not all pictures sharp but operating the camera (phone) with one hand due to new pot and scroll purchase. 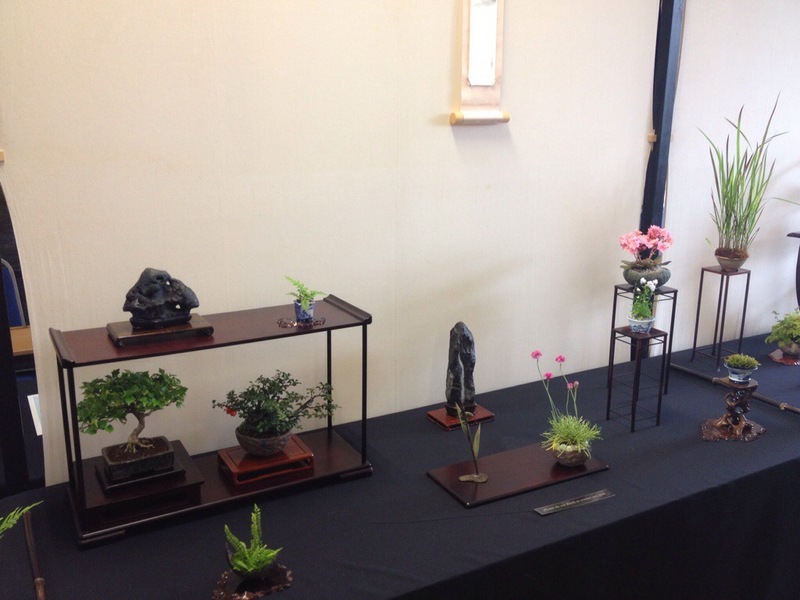 Well done to the organisers for a very good feeling show.